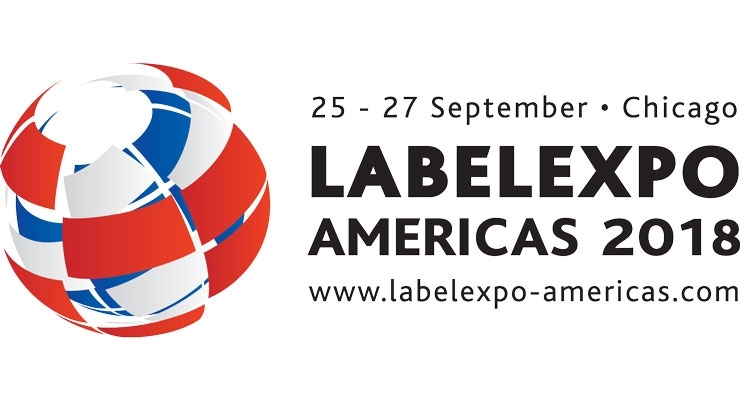 Labelexpo Americas 2018 takes place at the Donald E. Stephens Convention Center in Rosemont, IL, September 25-27. On display at the show are the latest innovations from hundreds of label industry suppliers. Over the next several pages we present a selection of some of the equipment and consumables being presented at the show. ABG is exhibiting 13 machines over four booths at Labelexpo, covering a wide range of finishing applications. On the ABG stand, a Digicon Series 3 is showing the new fast flatbed screen printing module, a Big Foot 50-ton flatbed hot foil unit, and its little sister, the 25-ton flatbed hot foil unit with a new swivel head that allows foil to be fed both along and across the web just like the Big Foot. The machinery is running two beverage labels highlighting the quality and extensive embellishment capabilities of the machine. Launching at the show is the Jetfx digital embellishment module – an offline, fully digital system creating excellent varnish and foil effects. The Digicon Lite is being shown with a sheeter and conveyor option, as well. acpo, ltd. has been manufacturing pressure sensitive adhesive coated films to the narrow web printing and converting market for over 30 years. acpo films can be found on labels and flexible packaging products from the health and beauty industry to pharmaceuticals and pet foods. 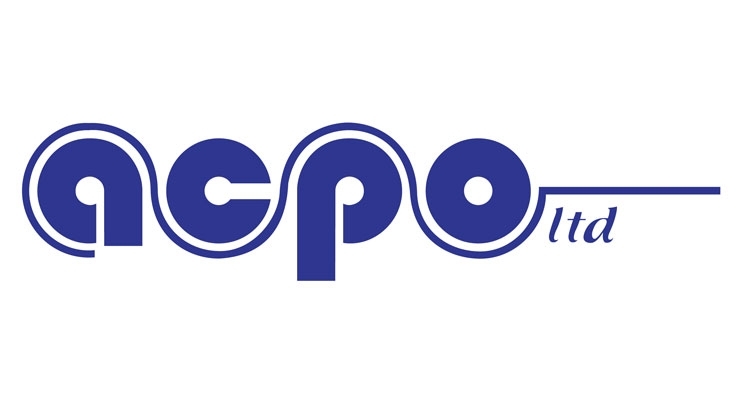 Recognizing the industry’s desire for innovative solutions, acpo has developed several new products, including: O2xBloc high oxygen barrier print webs and sealant webs for flexible packaging; Auth-N-Tech brand films with multiple levels of anti-counterfeit technologies. Sofsens films with a matte finish that are soft to the touch. Adhering to the tagline of “Films with Technology. 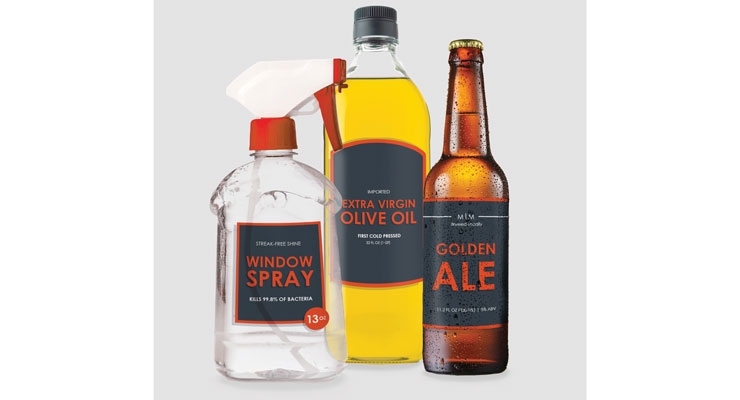 Products with Purpose,” the company is exhibiting these products at Labelexpo Americas. ACTEGA is introducing two Aquaprint water-based, injection in-mold coating products that yield good appearance, proven value in molding equipment and excellent scuff resistance. ACTEGA is also highlighting its ACTDigi digital primers that work with inline and near-line priming units for narrow web digital presses. Also showcased is the next generation UV flexo ink system, ACTExact. This system offers a wider color gamut, improved press speeds and allows for crisper print details as compared to traditional UV ink systems. ACTEGA is featuring its special effect coating line, designed to give label printers and brand owners eye-catching shelf presence and tactile effects to enhance the consumer experience. Allen Datagraph is showing a number of products at Labelexpo. The iTech Centra HS is a high-speed roll-to-roll digital converting system that laminates, diecuts, strips and slits labels in one pass. The iTech Axxis XL Plus is a digital finishing solution that laminates, cuts without dies, strips, slits, and re-winds customers’ labels. The iTech Talon is a digital label finishing solution for converters and end users who have short run finishing requirements. The roll-to-roll iTech Spectrum features an LED toner print engine, printing up to 25 fpm. The iTech Cypher with HP Pagewide technology uses pigmented inks that are water, abrasion and fade resistant. 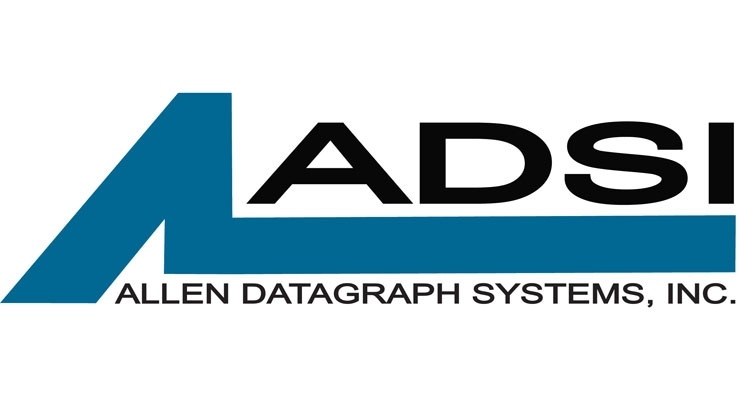 Allen Datagraph experts are on-hand to discuss these newest offerings. Afinia Label is unveiling three label printers and a digital label press at this year’s Labelexpo. 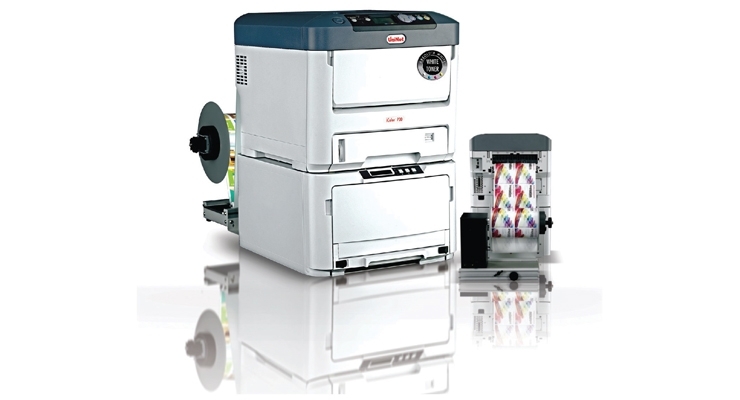 The L501 is a dual ink label printer for low/mid-volume printing with interchangeable dye and pigment inks. The L701 is a mid-volume printer designed for the production line, featuring the benefits of Memjet in a smaller footprint. The Memjet-based L901, made for high-volume continuous and inline applications, boasts high speed and quality with high-capacity, economical ink tanks. 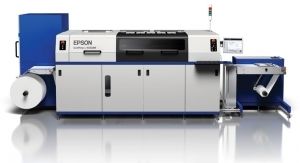 The DLP-2100 is a full-rotary, die-based digital label press with the L901 printer in line. Print, laminate, diecut, slit, remove waste, and rewind labels to finished rolls. 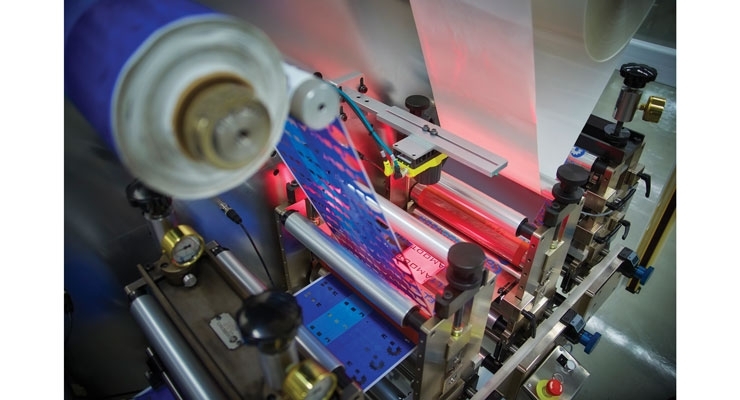 Anderson & Vreeland, a distributor and manufacturer of flexographic and digital technology for labels and packaging, is highlighting key technologies backed by its team of technical experts thoroughly versed in the fine points of flexo and digital imaging. Two centerpieces at the Anderson & Vreeland booth are the Flint Xpress Thermal Plate Processor and the Xeikon ThermoflexX platemaker. Anderson & Vreeland provides one-stop shopping for nearly all flexo and digital printing needs. Experts are on-hand to answer questions in order to provide a deeper knowledge of the processes you rely on every day. Laser engraved functional topography describes a surface that has functionality provided to the surface by the laser. This functionality could be to hold ink, for flexo, gravure or anilox rollers, or to create a surface used for embossing or imprinting a substrate. Printed electronics, optical films, anti-microbial and low-friction surfaces are further examples of functional topography. 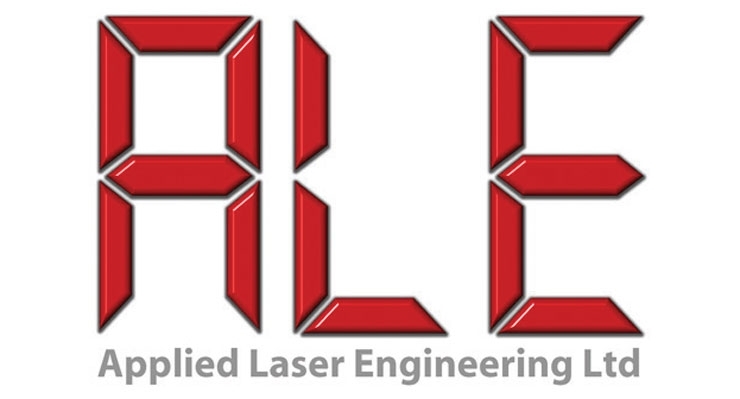 Applied Laser Engineering will have experts at Labelexpo Americas to discuss these solutions. ARC International is displaying its new US-made NickelBack Sleeve System, which is more durable and safer to use than ordinary fiberglass sleeves. The company is also showcasing its latest laser-engraved ceramic anilox surface technologies and its complete line of narrow web press rollers. In addition, doctor blades and carbon composite ink chamber systems are being discussed at the booth. As a full-service supplier, ARC International offers impression cylinders, rubber rollers, peristaltic ink pumps, and cleaning supplies. The company has facilities in North Carolina and Nevada. Asahi Photoproducts is showing its AWP family of water-washable flexographic plate solutions featuring Clean Transfer Technology, including its new AWP -DEW plate with washout speeds 2.5 times faster than previous plates, making it ideal for on-demand platemaking and a more efficient flexographic operation. Asahi’s AWP Clean Transfer technology provides a viable alternative to conventional flexo printing plates. Its water washable printing plate technology does not require high temperatures or VOC-based solvents. It provides high register accuracy, making it particularly suitable for printing with a fixed color palette and enabling odorless production. Avery Dennison is showcasing its “Pioneering Change” booth. This is a comfortable space designed for networking, collaborating and reflecting on the innovation and evolution happening right now in the industry. 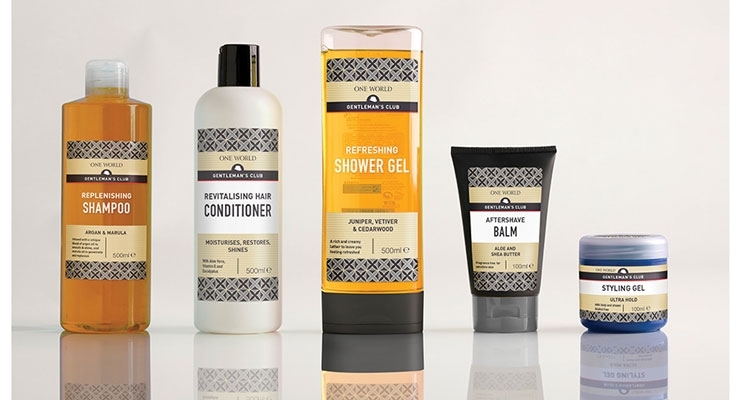 The company is showcasing new heat-sealable film for reclosure, expanded intelligent label portfolio, and its growing ClearIntent portfolio of sustainability-oriented products. 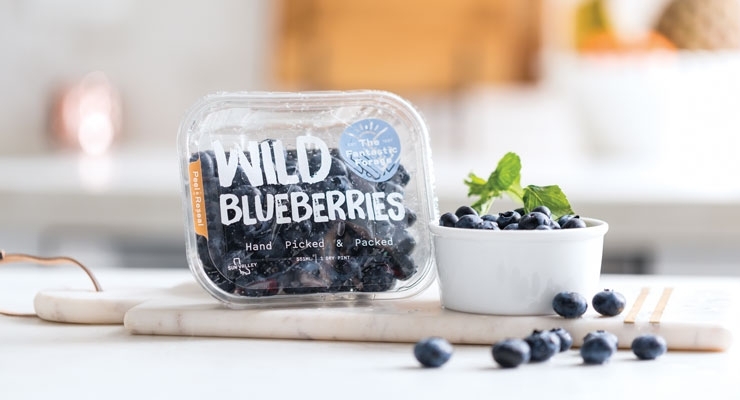 Being showcased are: Additions to the Avery Dennison ClearIntent portfolio, including the company’s first ever linerless product, its new ThinkThin product range, and expanded CleanFlake adhesive offerings for increasing the recyclability of PET plastic packages. Avery Dennison’s heat-sealable film for reclosure, features R1490—the only adhesive that complies with FDA regulations for direct contact with food—as well as a heat-sealable film liner. Intelligent labels on display will include solutions enabled with UHF, HF and NFC radio frequency identification (RFID). 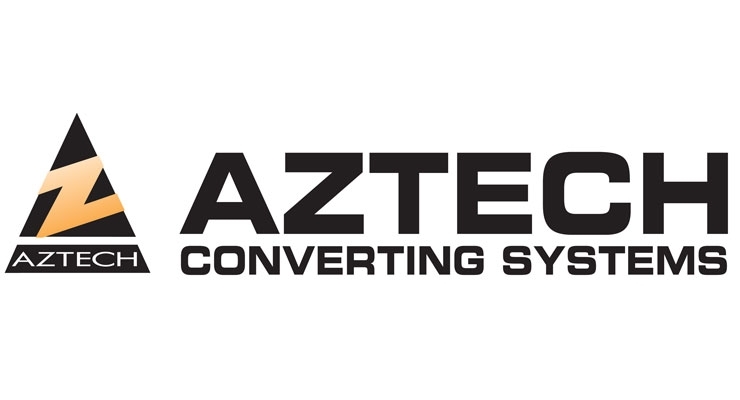 AzTech Converting Systems is featuring the newly engineered Sigma Series precision label finisher. 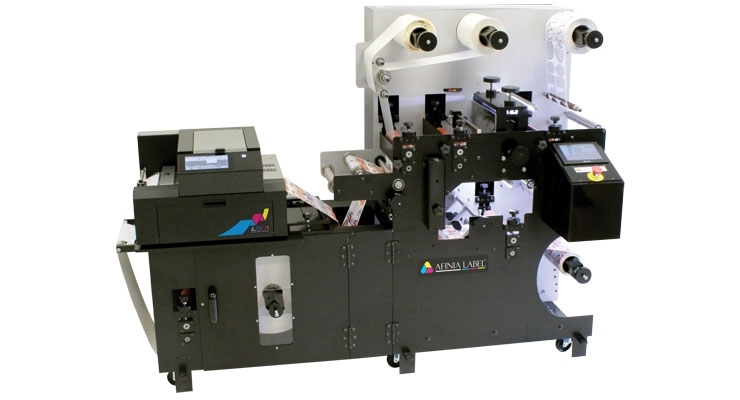 The Sigma Series is a modular semi-rotary/full-rotary label finishing solution designed to efficiently convert digital label print applications. Also exhibited is the freshly re-designed servo-driven BSR High-Speed Slitter Rewind System. The 25-year evolution of the BSR continues, as a host of functionality upgrades and improvements have been added to help improve ergonomics, increase productivity and rev up speed by 25%. The Roll-90 Invertible Tabletop Rewinder is being displayed, along with a sampling of AzTech’s Material Handling Equipment, including RollRunner Series mobile roll handling equipment. All AzTech equipment is proudly manufactured in the USA. 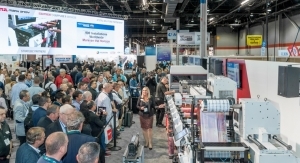 The Bobst booth at Labelexpo Americas is once again one of the largest at the show. 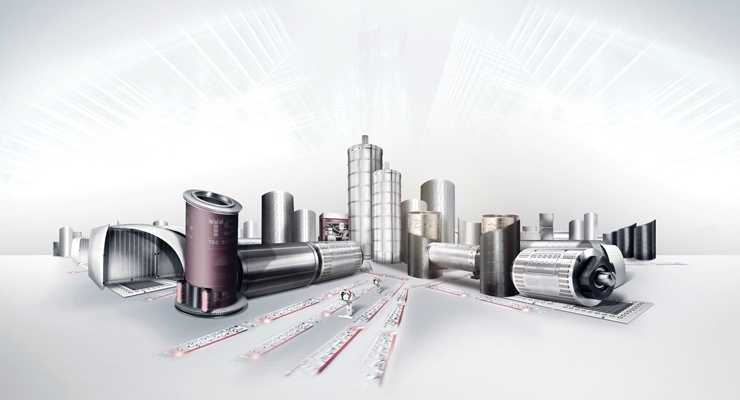 Bobst aims to provide solutions to challenging applications, including the production of multi-layered coupons for a variety of food, non-food or pharma products, lamitube, shrink sleeves, security products and more. The following presses are on display: The M6 inline Digital Flexo line spotlights the advantages of Digital Flexo and Digital Automation workflow technology, including REVO 7-color extended gamut printing. The M1 inline flexo press is being displayed with its latest IoT configuration, plus the M6 is being highlighted as well. In addition, Mouvent – the digital printing competence center of the Bobst Group – is also located at the Bobst booth, displaying the technology behind its digital UV and water-based label printers. 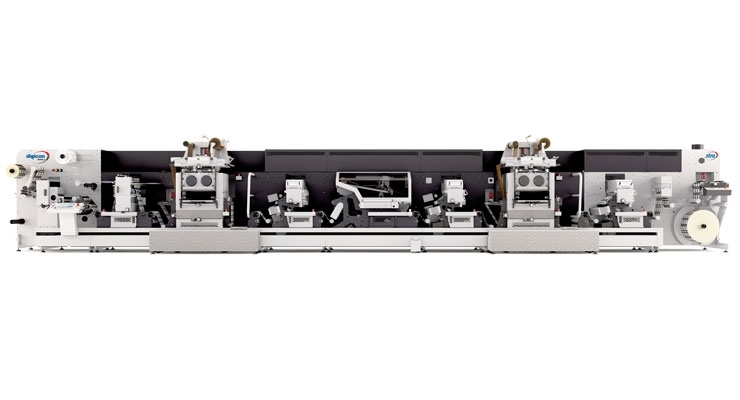 Cartes will show the Gemini 360 Series in the GE362ZL R-L configuration, a solution that allows converters to combine as per their needs for a flexo varnishing and a laser converting unit. Cartes will also unveil its new Laser Version in the configuration of Right to Left. 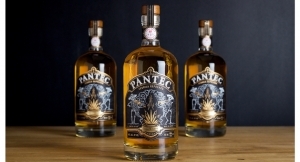 One of the most important aspects about it is the so-called Invisible Laser Cutting (ILC), which makes it possible to diecut a dark printed label without the typical and unsightly “white edges.” The GT360 Series will feature live demonstrations of state-of-the-art embellishing on a digitally printed substrate. Cartes has invested heavily in research in order to offer many international companies qualitative solutions. 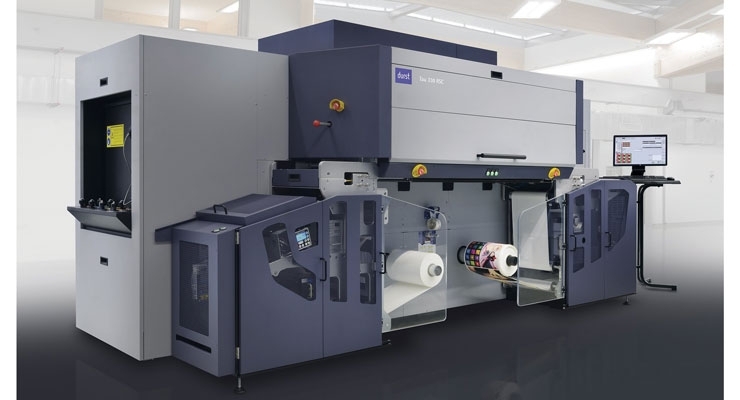 CGS Publishing Technologies International is demonstrating the latest in ORIS technology during this year’s Labelexpo Americas 2018. Presenting its packaging and label-centric portfolio of software, equipment, consumables and services, the company is showcasing all-in-one solutions for prototyping and controlling color within the packaging market. ORIS X Gamut provides a color management solution for expanded gamut printing, on traditional offset and flexo presses, as well as on digital technology offerings. Its patented technology lends the opportunity for printers to leverage the full gamut of a press to best reproduce spot colors in an up to 8-channel output environment, with less press downtime between jobs and the ability to gang jobs. Channeled Resources is all about money–saving money that is. CRG will feature two cost saving strategies during Labelexpo: a vast PSA inventory and a new blank label line. Label converters feeling pressure from price increases turn to Channeled. Every week, the company brings 15-20 truckloads to its plant in order to offer consistently updated first quality off-cuts, price fighter B-grade materials, and set-up stocks. CRG blanks provide better margin and efficiency. Keeping blanks off press allows converters to devote press time to value-add runs. CRG’s concept of selling strictly to resellers, provides converters a non-threatening alternative to diecutting blanks themselves. 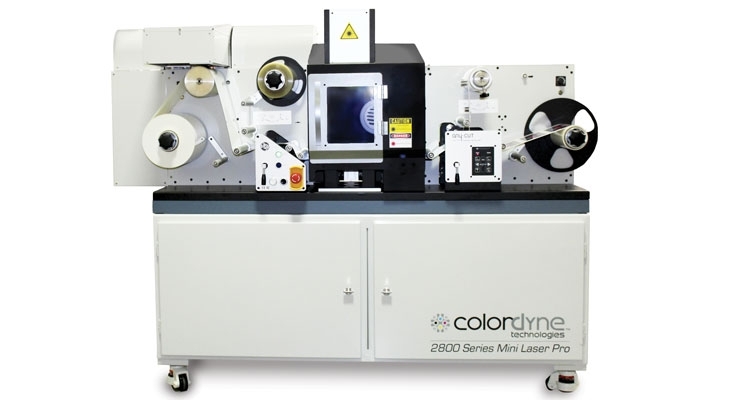 Colordyne Technologies is debuting the 2800 Series Mini Laser Pro at Labelexpo Americas 2018, marking its first ever trade show appearance. Visitors can watch it print, laminate and laser diecut full color labels inline in custom shapes and sizes live at the show. The product’s fast speeds, high quality and compact size are on display, allowing viewers to visualize it in their own warehouse or office. Colordyne is also displaying live-stream-style footage of the 3600 Series UV – Retrofit, taking viewers on a visual journey into digital retrofit production. With print speeds up to 246 fpm, the 3600 Series UV – Retrofit can deliver a fast ROI thanks to its speed and high-quality label production. Learn more about the 2800 Series Mini Laser Pro, the 3600 Series UV – Retrofit, and more of Colordyne’s technology at the company’s booth. Contiweb is using this year’s Labelexpo Americas to demonstrate how packaging and label print providers can secure greater business opportunities and enhance productivity with the integration of the company’s hybrid web offset system, the Contiweb Thallo. Visitors can discover how the company’s flagship solution allows print businesses to maintain a competitive edge and a healthy margin when producing smaller jobs. Fully compatible with all flexo and rotogravure systems, the modular Thallo platform brings all the inherent benefits of web offset combined with printers and converters’ choice of flexo or gravure, depending on the needs of the business. With the capability to set up a new job within minutes, the Thallo reduces time-consuming changeovers. 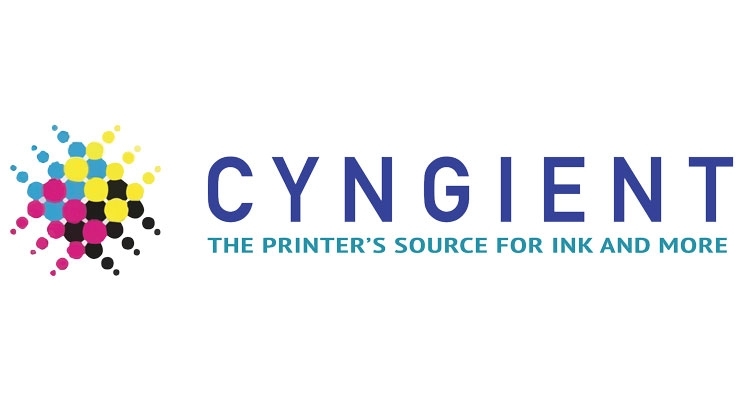 Cyngient, with over 100 years of combined experience, is a full-service, technology-driven provider of inks, coatings, adhesives and custom-built solutions for the flexographic industry. Cyngient has launched its new HYPERcure cold foil adhesive, which is designed for shrink sleeves, PET, PVC, BOPP, paper and all treated films. HYPERcure cold foil adhesive is fast, flexible and holds detail with excellent cold foil transfer for the narrow web industry. 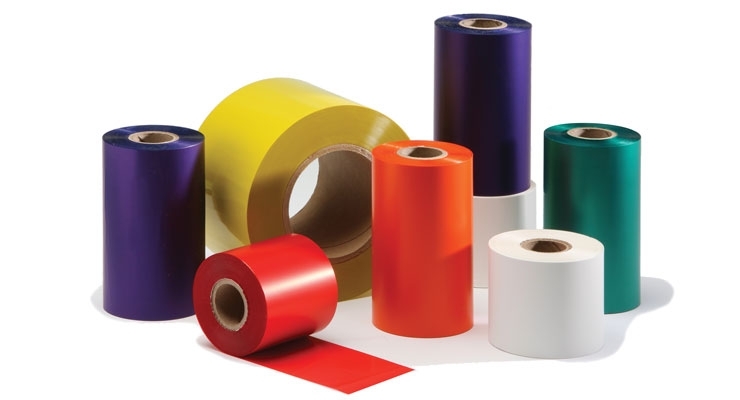 HYPERcure branded adhesives are used for all types of lamination that require optimum performance for speed, flexibility and destruct bond strength between various treated substrates. 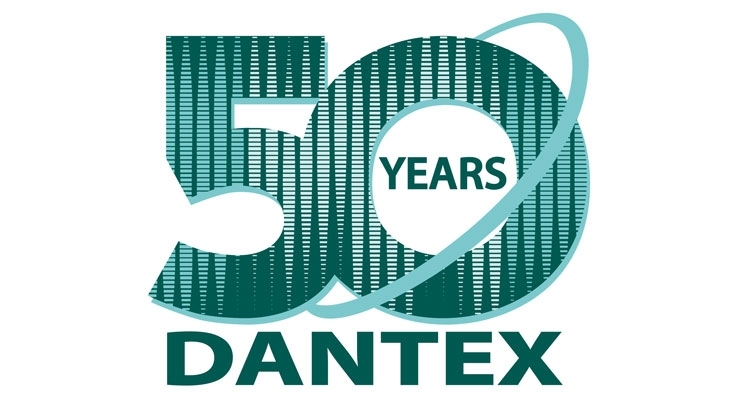 Following Dantex’s success in the UV digital label press market, the company is promoting its digital capabilities further at Labelexpo Americas. The PicoColour UV digital label press is running at the booth for the duration of the event. Versatile and with a small footprint, this printing system accommodates widths of 9.84" (210mm) and 82 fpm (25m/m), is suitable for both short and long runs and provides excellent printed results. The press delivers all the benefits of digital printing, including no minimum quantity, inline finishing, no waste and a fast turnaround. The press comes available with CMYK + White, chilled roller printing and full variable data options. The PicoJet is also available on the show floor. Ideally placed for high quality and long run lengths, the PicoJet is a 7-color printing system, which can be custom configured to offer wide colour gamut printing. The press includes static control, web cleaning and corona treatment for a wide choice of substrate printing capability. Delta ModTech is featuring the Spectrum converting/digital print finishing system at Labelexpo. The system has a variety of processes, including tight tolerance rotary diecutting, multi-layer lamination, precise part placement and Delta ModTech’s INTELLI-MOD control system. This software offers high-speed precision with minimal material waste, offering the ideal solution for applications where expensive materials need to be accounted for. The easy-to-use software speeds up job setup and changeover, reduces operator training requirements, increases accuracy, maintains counts of pieces produced, and delivers higher productivity with less waste. Durst is exhibiting the real-time production possibilities of its state-of-the-art UV inkjet single pass printing technology. 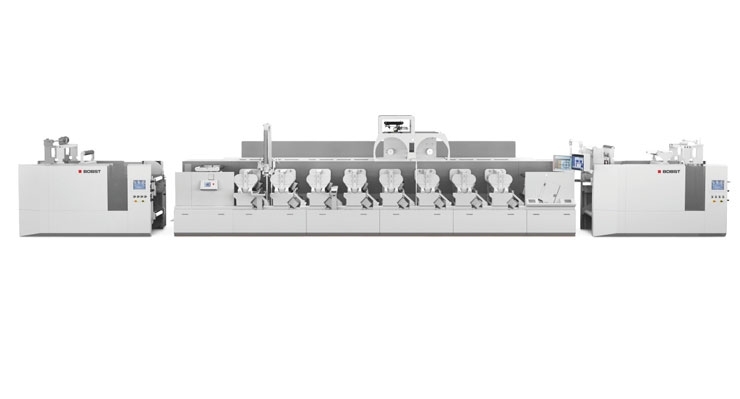 Durst’s new Tau 330 RSC is being highlighted at Labelexpo Americas. Among the top features of the system are high printing resolution, top printing speeds and 8-color printing stations. The Durst Tau 330 RSC is a UV inkjet label and package printing press featuring a 13" (330 mm) print width combined with print speeds of up to 245 fpm (78 linear m/m) at a resolution of 1200 x 1200 dpi. It runs at 1.485 m² per hour, and is designed for high pigmented inks, delivering excellent flexo-like print quality with close to 95% Pantone color gamut coverage. Experience hands-on demonstrations of the latest tension control equipment from Dover Flexo Electronics (DFE) at Labelexpo Americas. 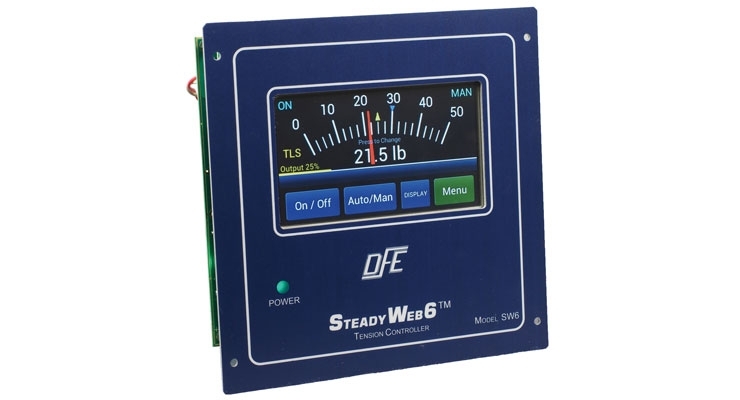 The company is showcasing the new feature-packed SteadyWeb6 tension controller, the easy-to-use closed-loop tension controller with a back-lit, color, touchscreen interface. DFE is also showing the NW Narrow Web Tension Transducer, a robust cantilevered tension-sensing idler roll for narrow web applications. The meter display option is perfect for conserving space on a cantilevered narrow web press. DMS will exhibit rotary hot stamp, embossing, and heat sealing tooling and equipment. The company will be displaying its fifth generation FV-Series Hot Stamping System with interchangeable shafts. The FV-Series accepts hard tooling, ring dies, and your existing tooling in most cases. DMS will also feature our TorKit II die pressure gauge, foil handling accessories, and turn bars. 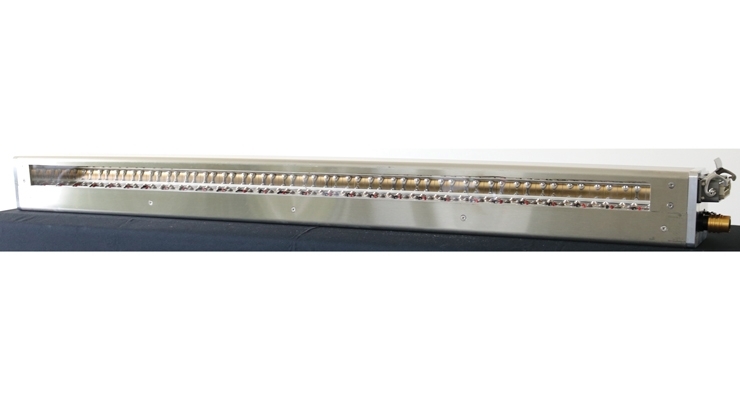 Its silent air bars are ideal for contact free handling of delicate materials. Domino is offering a wealth of solutions to further enhance digital label printing technologies. Available at Labelexpo Americas 2018 in booth 6523, Domino is bringing a flavor of its “Digital Printing Spectrum” LIVE event to the show, welcoming attendees to “See More. Learn More. Do More.” Within the Domino booth is the “Spectrum Brew House,” where attendees can enjoy a morning coffee or an afternoon beer while listening to educational and informative presentations from a wide-range of industry professionals, including label printer converters, industry trade associations, industry trade publications, OEM partners, and Domino. D.P.R. Labeling is showcasing the newly-released desktop label finisher, the Virgo. 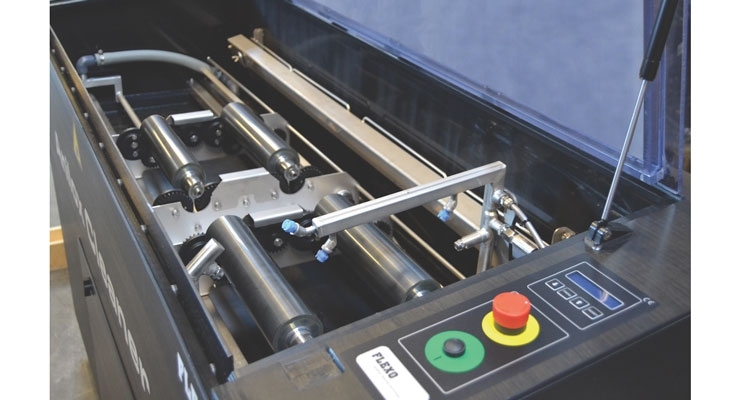 Designed for cutting and finishing label rolls ranging from 4.3” to 5.5" (110mm-140mm) wide, the Virgo is a cost-effective finishing system that makes in-house label production easy. Compatible with most small label printers, the Virgo is ideal for those looking to create a variety of label and roll sizes. Its user-friendly interface gives users the complete versatility to print and cut any shape with precision. 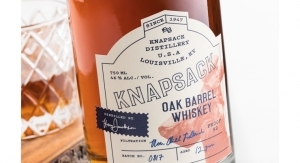 DuPont Advanced Printing invites visitors at Labelexpo Americas to visit its booth, which is being shared with Mark Andy Print Products (MAPP). DuPont is showcasing the tag and label offerings of the DuPont Tyvek business, highlighting the total solution DuPont provides customers in the label market. The company is also featuring the DuPont Cyrel FAST 2000TD processor and the latest equipment from Esko. Visitors to the Esko booth can learn how integrated and automated solutions, such as color specification, 3D pack shots and design reviews, can link brand owners, designers, premedia and the pressroom into a productive and efficient workflow. The result – Packaging Connected – drives faster throughput, higher quality, and “Right First Time” production. Demos include job specification data, design, color specification, digital job assets, and centrally stored and approved packaging content. EyeC is demonstrating fast and precise print sample testing on an EyeC Proofiler 600 DT. This system’s latest software version now offers the combination of print inspection and dimensional measurement capabilities in just one system. Furthermore, those Labelexpo visitors associated with the pharmaceutical world can take advantage of EyeC’s new pharma workflow offering improved data integrity, data security, and an easier audit trail review. EyeC is also displaying the EyeC Proofiler Graphic for automated PDF-checks at the prepress stage. This system now includes optional Workflow Integration into existing workflow software such as the Esko Automation Engine. An EyeC ProofRunner 100% print inspection system for labels and flexible packaging is on display on an ultra-fast Rotoflex rewinder, as well. Flexo Wash is introducing its latest in anilox cleaning technology at Labelexpo Americas. Based on the motto, “Clean is Clean,” the company is showing how up to nine anilox rollers can be cleaned at the same time, offering high efficiency inking for top quality print results. Flexo Wash technology is safe and easy to use, and reduces downtime on expensive printing presses while eliminating problems associated with color matching. In addition to anilox cleaning developments, Flexo Wash is also displaying updates to its TopLoad and ECO Parts Washers, as well as narrow web plate washing systems. Fujifilm North America Corporation, Graphic Systems Division is set for a powerful presence at Labelexpo Americas 2018. Visitors are invited to imagine running faster press speeds, produce multiple version labels with variable data, and print new substrates like thin films and shrink sleeves on their existing flexo press. With Fujifilm Flenex plates, Illumina LED COLDCURE technology and ink systems, and Samba Printbar System, the company says this is now a realistic possibility. 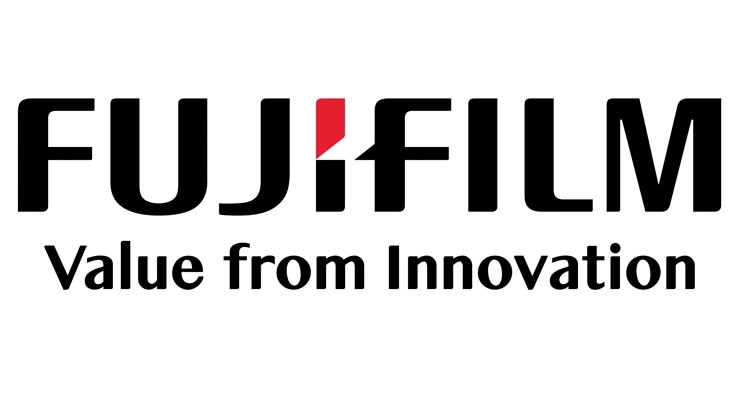 Live demonstrations of Fujifilm’s enhanced flexo solutions, including the Edale FL3 flexographic label press, as well as the Graphium UV digital hybrid inkjet press for the narrow web market, are taking place. In April 2018, Gallus and Heidelberg announced the completion of their full integration in North America, and their aligned product portfolio is on display at Labelexpo Americas. Gallus’s new Smartfire digital label printing system is being unveiled to the North American market, and Heidelberg’s Omnifire 250 4D inkjet digital printer is available for demonstration at the event. Gallus is expanding its product portfolio with the Smartfire, a new, fully-featured, value offering for digital narrow-web label printing that is focused on ultra-short runs. The Smartfire premiered at Gallus Innovation Days in late June. Meanwhile, the Omnifire gives customers the ability to change products over within seconds — providing shorter delivery times with on-demand printing. 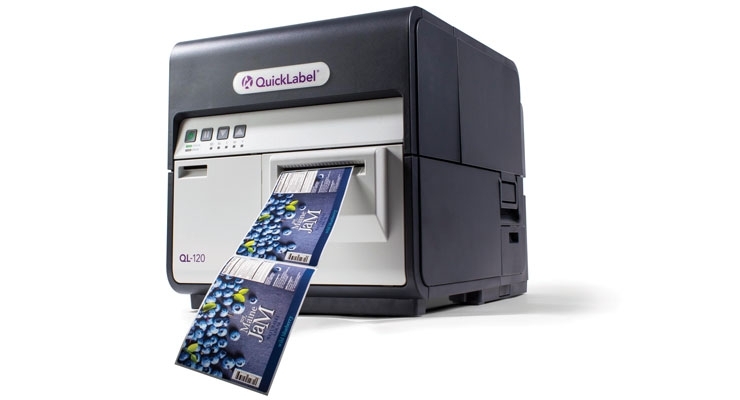 Gallus’s vast portfolio includes the Labelmaster, a cost-effective system for the industry. 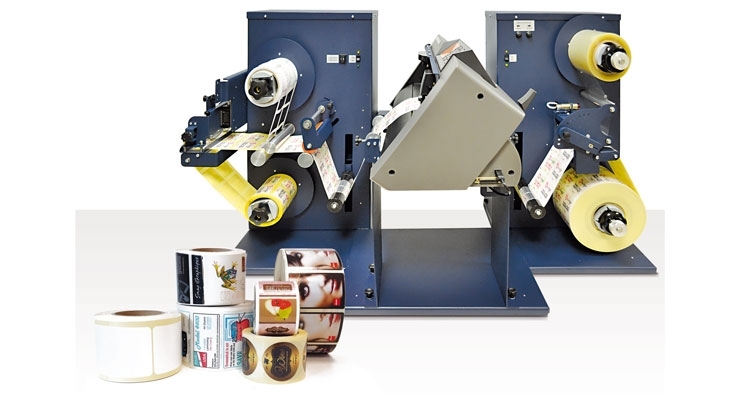 From the economical basic model to the fully equipped version, the Labelmaster is designed to enhance conventional flexographic label printing. Gb Flexo Equipment specializes in the buying and selling of used flexographic printing equipment. The company deals with the brokering of presses and ancillary equipment related to the flexographic printing industry. 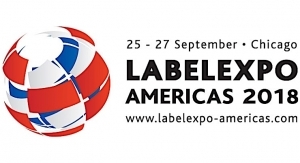 Gb Flexo is available at Labelexpo Americas to detail its offerings to prospective customers. At Labelexpo Americas 2018, GEW is showcasing its comprehensive range of UV curing systems comprising mercury arc, LED and hybrid systems. Alongside these will be the fully hybrid RHINO ArcLED electronic power supply, which has very recently been awarded an ETL Listing for the North American market. 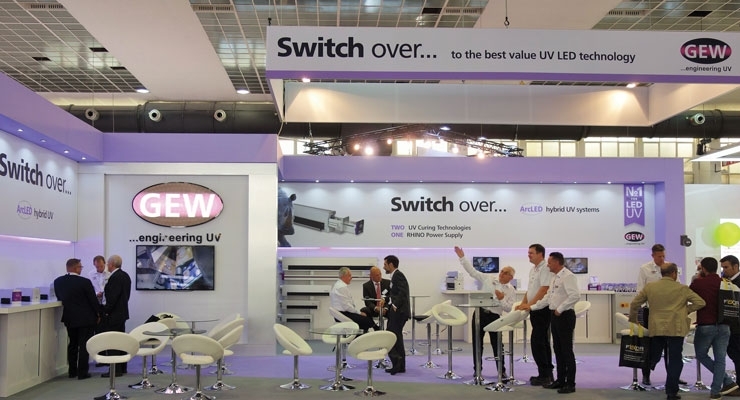 The event serves as an opportunity for the UK manufacturer to update visitors on its full range of UV equipment for use with label printing presses. GEW is a key player in the design and manufacture of UV systems for web printing and coating up to 2.50m wide. GMG OpenColor is being featured at Labelexpo Americas. 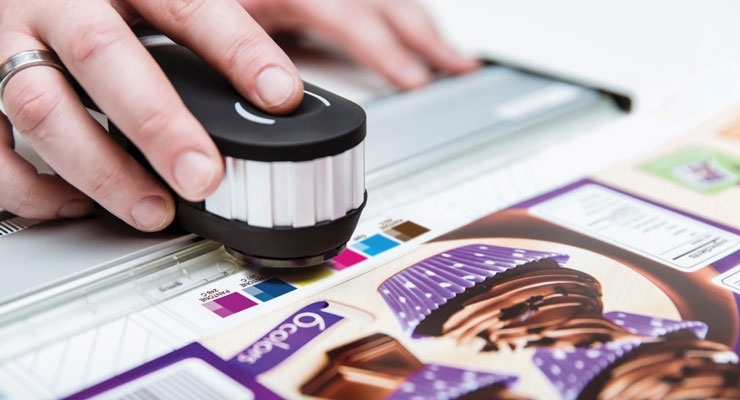 GMG OpenColor can characterize printing processes with up to 10+ colors of overprinting inks, with a fingerprint size that is 10 times smaller than other color management systems. The technology also supports extended gamut (ECG) print. 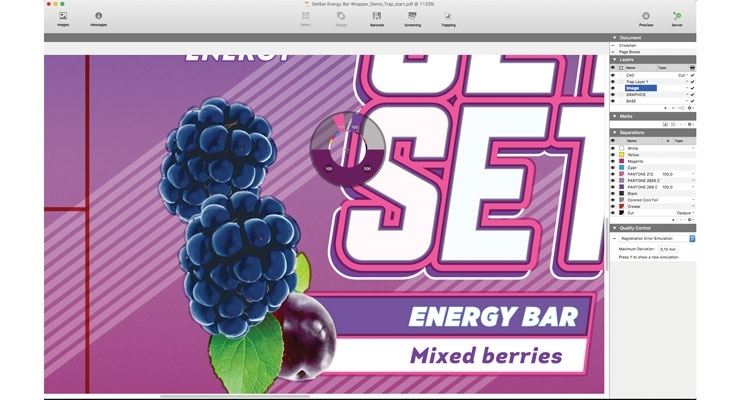 GMG OpenColor can be connected to Photoshop and Hybrid PackZ with the ability to create dynamic profiles. An accurate preview of screening is also important for flexo printing. GMG OpenColor can create dot proof (screen) profiles for use in GMG DotProof and GMG FlexoProof, which is helpful for determining overprint properties with halftone proofing. Grafotronic is presenting its newest finishing machines and WLE (Worldwide Label Equipment) at Labelexpo. The focus is on automation and products to increase the efficiency in production. 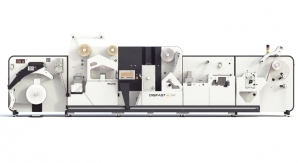 The newly updated DCL2 digital finishing machine is equipped with the GIGAFAST 525 fpm semi-rotary die, a flexo unit for high speed spot/full varnish, wi-fi slitting, automatic knife positioning, and the non-stop system for continuous runs. The DCL2 and all other Grafotronic machines are business management software ready. The new high speed HI2 machine for 100% inspection and slitting of labels, foil and cardboard are located in the Automation Arena. The WLE Core Cutter HS is also being displayed in the Automation Arena. Ink logistics provider GSE is demonstrating its GSE Ink Manager, a comprehensive software package with enhanced ink management capabilities. There is also information about the company’s Colorsat dispensing systems for flexo, gravure and screen inks, covering all label and packaging applications. 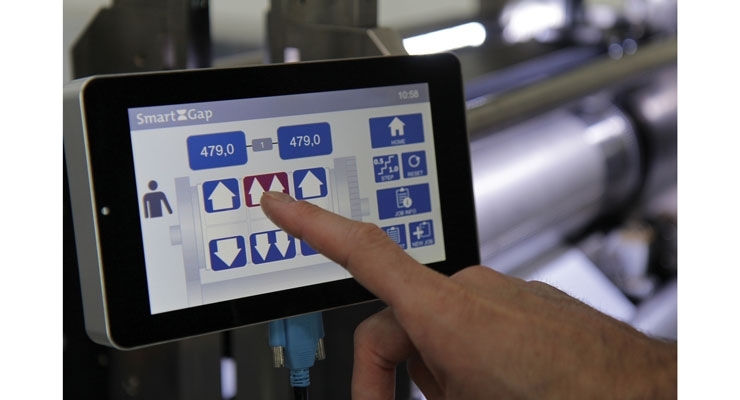 GSE Ink Manager software enables label and packaging converters to minimize ink-related waste, providing improved ink yields, enhanced reporting and business planning, reduced setup times and traceability. In one-to-one demonstrations at the stand, visitors can experience the many value-added functions of the software, which now comes as standard with all GSE Colorsat dispensing systems. Harper is answering questions on its product line of pressroom supplies and its Harper Express Program, which the company says is the fastest anilox delivery program in the industry for the most popular narrow web presses. 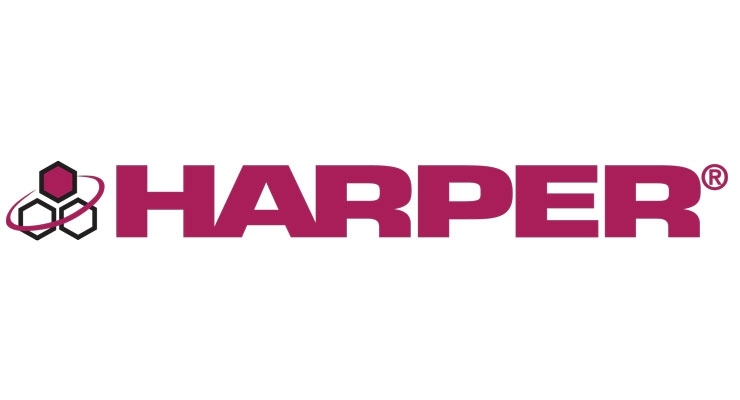 Harper is displaying its award-winning, patented QD ink proofing system and providing information regarding the new QD printer, the ultimate in flatbed printing using flexographic and gravure process. Hop Industries is presenting its full range of Hop-Syn products in a series of live demonstrations and drawings. Among the products featured are Hop-Syn GO, which is a durable, waterproof synthetic paper that delivers high-quality output for the HP Indigo digital press. Hop-Syn XT is an extra–tear-resistant synthetic paper made from a mixture of calcium carbonate and polypropylene resin. Hop-Syn TO is an extra opaque, tear-resistant synthetic paper made from a mixture of calcium carbonate and polypropylene resin. Manufactured by calendar into a single-layer substrate, the TO grade is made with additional whitening agents and fillers to improve its sheet brightness up to 94% and opacity up to 99%. IIMAK is introducing iiColor Match for thermal transfer ribbons (TTR) at Labelexpo Americas. This new service enhancement enables label converters to supply brand owners with thermal transfer ribbons in any exact color match. Key to this new program is fast turnaround and low minimum orders — all provided as a free service without development charges. iiColor Match is a suitable solution for brand owners requiring smaller, even micro-sized, label runs while still maintaining brand integrity and corporate colors. This is the first event where Innovia’s expanded range of labeling products is on display. The recent acquisition of manufacturing capabilities in the Americas means the company’s technical expertise now covers both “Bubble” and Tenter films. 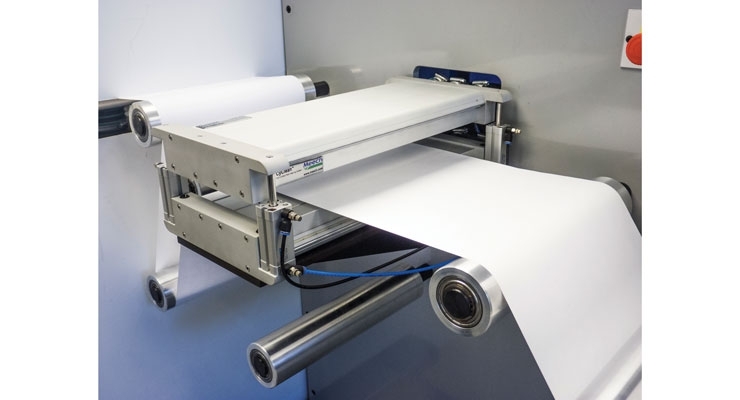 This allows Innovia to provide specialist solutions for pressure sensitive, roll-fed wraparound, cut and stack wraparound and in-mold label applications. This step provides a more dedicated customer, technical and R&D service into the market. The extended Americas team is located at the Innovia booth, where they are providing information about the company’s increased capacity, broader technology options, expanded product portfolio and new developments. 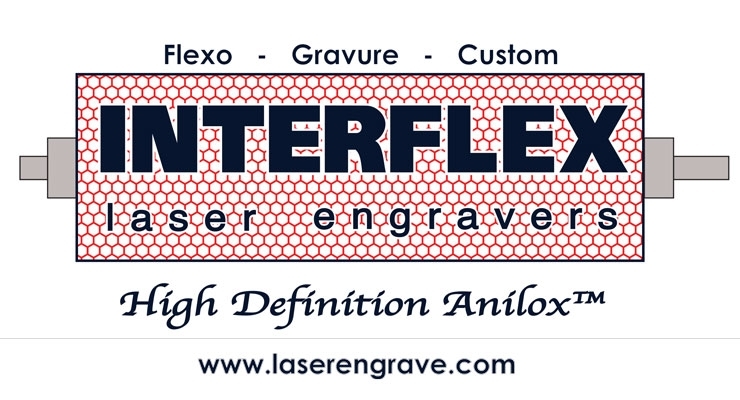 Interflex Laser Engravers is a boutique engraver to the label and narrow web market and provider of high-definition anilox engravings and custom cell engravings. The team’s goal is to assist you and your team in taking care of those print and coating jobs that bring your product to the market forefront. 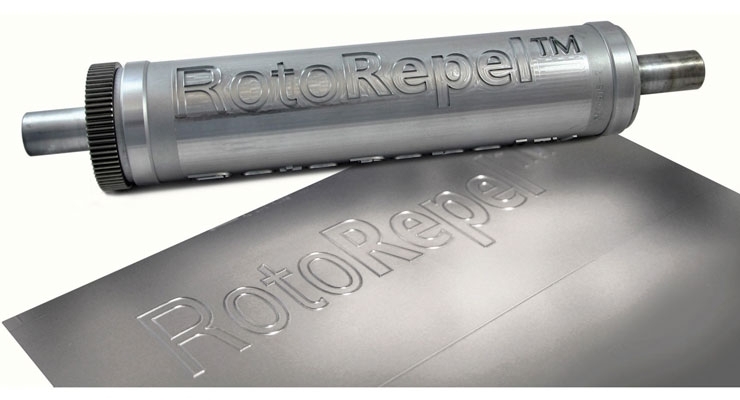 You can depend upon Interflex as a one-stop shop for your roll-base-sleeve needs and engravings. Our technical sales team can also help you with your process specifications, and our customer service and manufacturing teams will give you world class quality, service, communication and turnaround time. 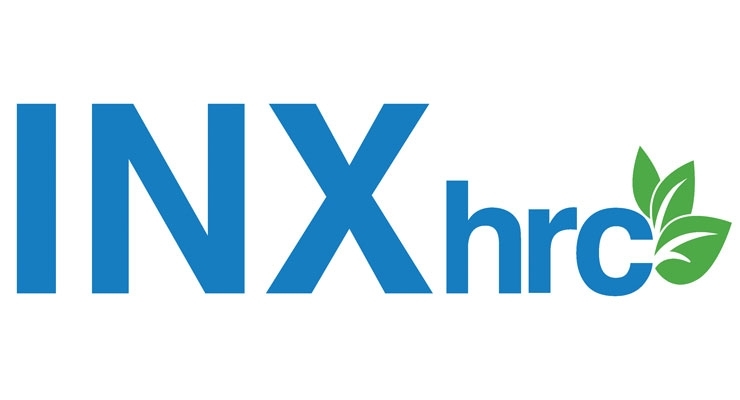 INXhrc will highlight an extensive product offering of blending vehicles and coatings for flexographic, gravure and offset applications. The high-performance water-based inks are formulated to replace petro-chemically derived ingredients with clean, renewable and sustainable ingredients without sacrificing machine, processing, and end-use product performance. They are free of allergens, nanomaterials, fluorochemicals, fanal pigments, heavy metals, latex and PTFE. 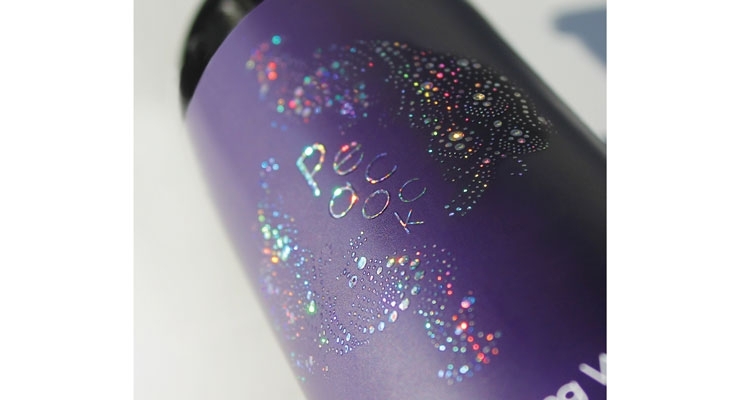 K Laser Technology has introduced its new GEMfoils for use with HP Indigo GEM, the first fully digital, one-pass embellishment solution, at Labelexpo Americas. K Laser’s GEMfoils is running at the HP booth while K Laser’s booth is showcasing its Color and Pattern Guide. In collaboration with MGI, Konica Minolta is displaying the JETvarnish 3D Series Labelexpo Americas. 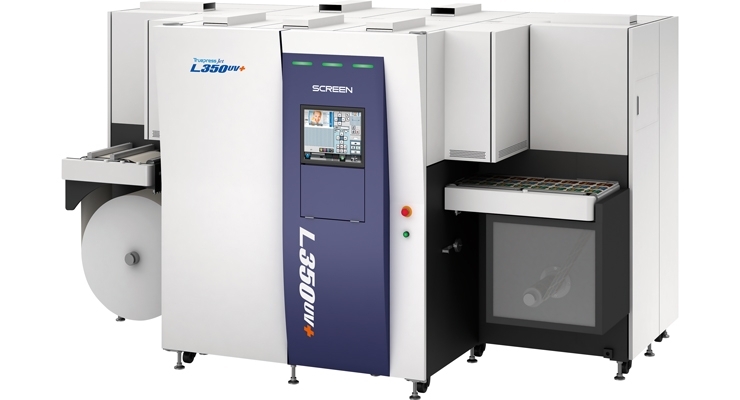 Konica Minolta and MGI are arranging personal briefings regarding the digital power and revenue production benefits of the JETvarnish 3D Series during the autumn event. 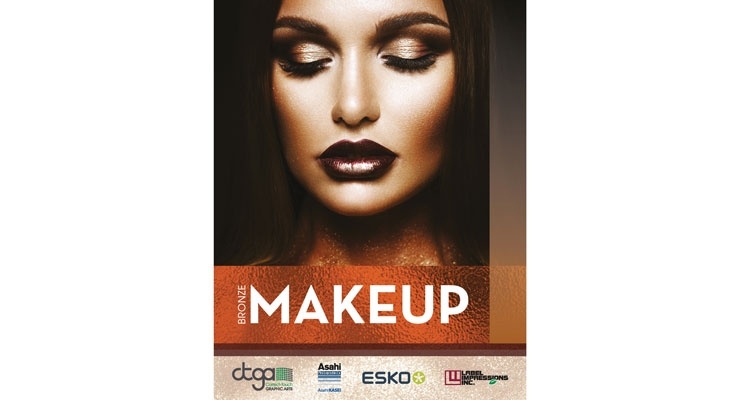 MGI JETvarnish 3D presses produce digitally decorated special effects such as detailed 2D spot gloss highlights, artistic 3D dimensional textures and richly embossed foil applications. The JETvarnish 3D Series also offers powerful variable data processing capabilities to produce personalized and customized images and alpha-numeric text on every piece and job. 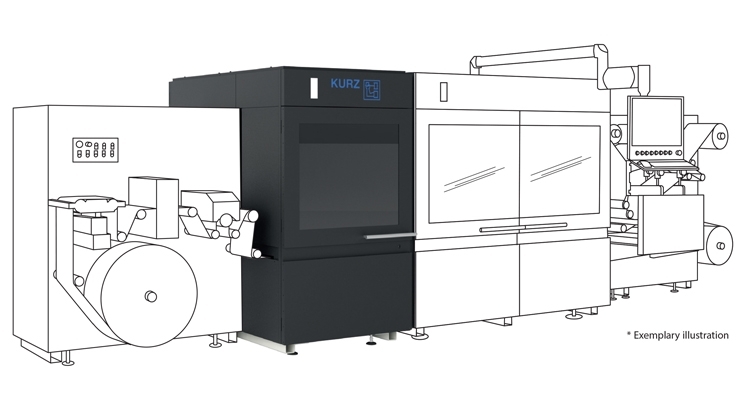 At Labelexpo Americas, Kurz is demonstrating its built-on unit, which is connected to an 8-station Nilpeter press. This DM-LINER UV-INK Roll-to-Roll:Built-on version is a flexibly engaged retrofit module for flexographic and offset printing machines. It can be integrated into production lines when required via the rail system with up or downstream color printing. At booth 1816, the Kurz UV-INK Roll-to-Roll: Built-in unit partnered with the mLabel machine from mprint is being demonstrated, with digital printing decorated with DIGITAL METAL. This is an inline enhancement module for digital roll-fed presses that can be integrated directly into production chain. Label Traxx is a management software system designed and built specifically for the label converting industry. The expanding flexible packaging market is supported in the latest version. 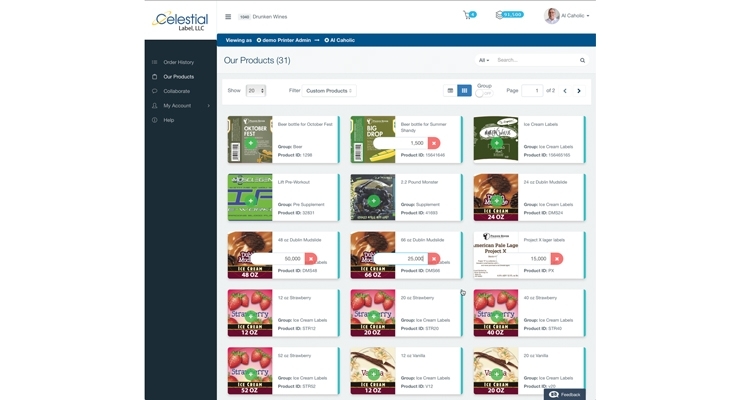 New Siteline for Label Traxx, the customer web portal, introduces collaborative e-commerce. Users will be able to better manage the complex process of producing new labels for customers in a single portal. The software includes dedicated estimating for conventional and digital presses, order processing, inventory management and purchasing, shop floor data capture and profitability analysis, integrated accounting, quality control triggers, business dashboards and scheduling. MacDermid Graphics Solutions, a worldwide supplier of photopolymer printing plates and platemaking systems, is exhibiting its latest solutions at Labelexpo Americas. MacDermid is focusing on showcasing the recent expansion of its flat-top dot portfolio and thermal platemaking equipment. Company experts are on-hand to discuss MacDermid’s product portfolio and how it can benefit a converter’s label and package printing. Mactac will be highlighting its CHILL AT product line, which is designed to cover all-temperature labeling needs – including challenging cold temperature applications – showcasing even more products and more solutions. 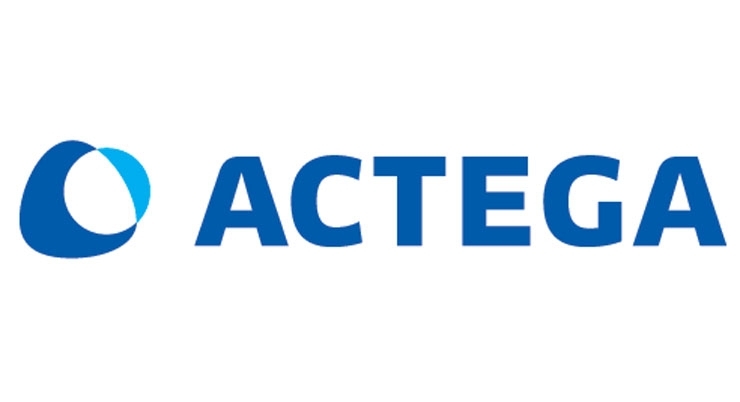 Additionally, the company will be debuting its new durable film line, silicone adhesive, cryogenic and security products, which were developed and initially sold by its parent company, LINTEC. 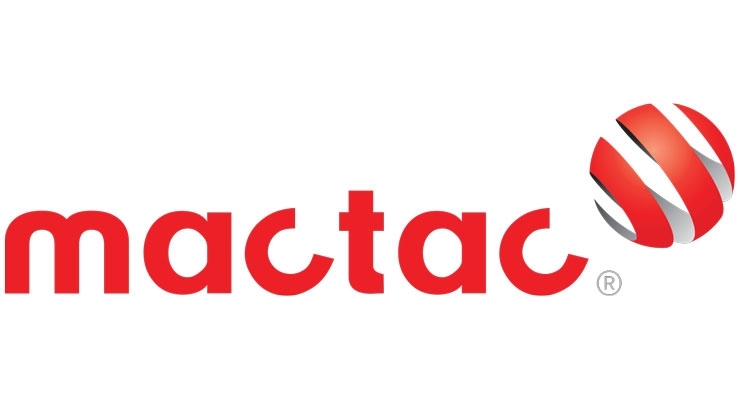 Some of Mactac’s latest products, including newly added MACcopy laser products, and new hot-melt adhesive products, will also be discussed by Mactac product experts. Mark Andy is unveiling its award-winning Performance Series P9E press model specifically designed for high quality flexible packaging production including film, shrink sleeves, and foil lidding. Available in wider web widths up to 26", the P9E comes with new servo-controlled impression adjustment, plate cylinder loading support, and an anilox and chamber drawer. 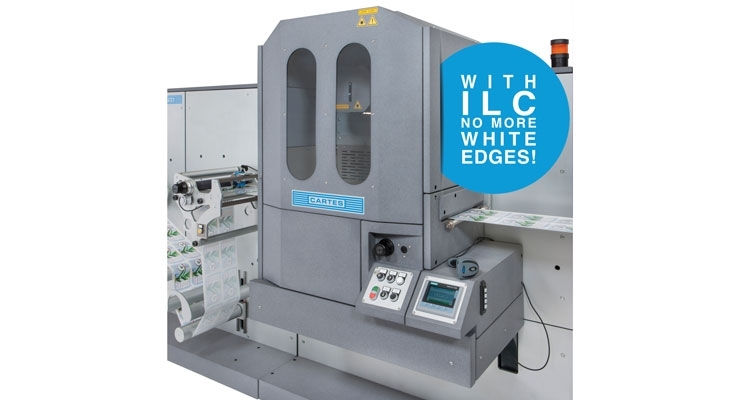 This flexo press prints at speeds of 1,000 fpm. Also making its debut is the Mark Andy P7E, which brings key advancements that promote operator efficiencies and enhanced automation through Mark Andy AI. Also being featured is the Digital One, Mark Andy’s toner-based, entry level digital press. Mark Andy Print Products and DuPont Advanced Printing are together on-stand 749 at Labelexpo Americas 2018. 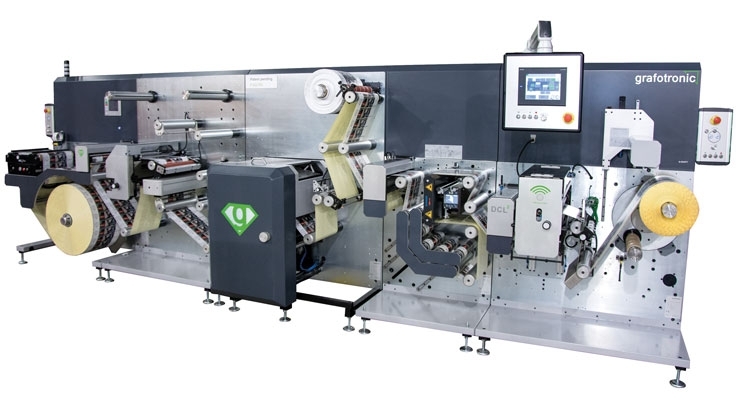 At Labelexpo Americas, Martin Automatic is premiering its space saving, nonstop roll changer with what the company says is the shortest inline footprint available. The MBS splicer with integrated right angle turnbar occupies just 65” in the press line. The streamlined design makes this splicer the ideal choice for label printers who are very tight on space but still want the reliable performance and increased production that an MBS automatic splicer provides. 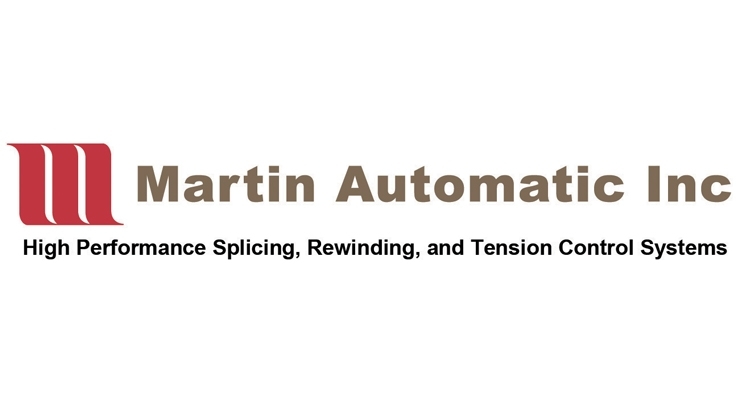 Also at the show, Martin Automatic is running an LRD automatic transfer rewinder in conjunction with the splicer to demonstrate continuous operation. 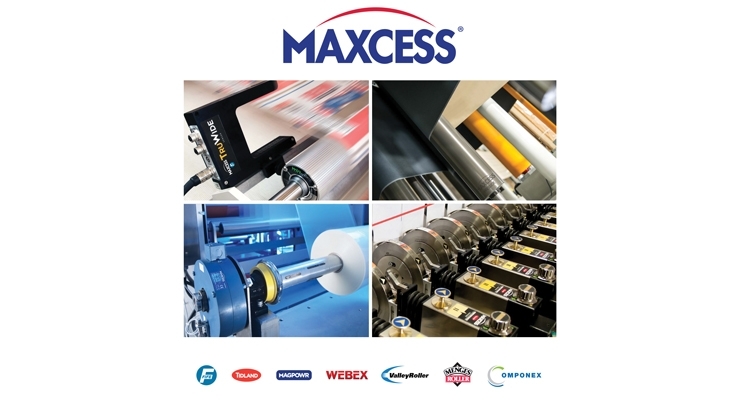 At Labelexpo Americas, Maxcess is displaying a vast portfolio of products across a network of brands. Webex and Menges Roller is offering heat transfer, vacuum and idler rolls; Valley Roller is providing rubber compounds; and Componex has the WINertia dead shaft idlers. Meanwhile, Fife is delivering a sneak preview of a new sensor technology and next-generation inspection system. Tidland provides the Control Series electronic knifeholder, and MAGPOWR’s DLCA-NET, a tension amplifier with networking capabilities, is a focal point of the booth, as well. Maxcess helps its customers maximize productivity through enhanced products and services worldwide. Meech International is exhibiting the Model 924IPS Bar and CyClean Non-Contact Web Cleaning System. The Model 924IPS is a Hyperion product. It is a compact, short-range pulsed DC ionizing bar suitable for use in a variety of sectors, including labeling, print, packaging and converting. Short-range ionization allows the small cross-sectional size to fit into tight installation positions. Meech’s Ion Current Monitoring (ICM) technology, ensures performance is maintained. CyClean was designed in response to an increased demand for a compact, high performance, non-contact web cleaning system. It is capable of removing contamination to below 1 micron. Michelman is introducing Pack Ready for Labels and their suite of pre- and post-print solutions for enhanced label resistance. Solutions include DigiGuard 901 UV OPV strengthener (an OPV additive), DigiPrime 022 and DigiGuard 222. Michem Flex M1203 are also being featured. This water-based matte finish OPV for polymer materials allows brand owners to create a paper look with a soft velvety texture. It can be used on labels with other OPV’s. Additionally, Michem Flex Barrier 3510 highlights Michelman’s shelf life and protection expertise. Mid American Rubber is showcasing at Labelexpo MagnaTek, a proprietary compound that has been newly formulated in a 45 durometer. This product provides enhanced transfer and uniformity of coating for digital applications. It is suitable for use with UV and water-based inks and coatings. At this year’s Labelexpo Americas, MPS Systems North America is demonstrating two future-ready presses for the narrow web industry: a fully-automated EF flexo press in the North American debut of Automation Arena, and the EF SYMJET digital/flexo hybrid solution at the MPS booth. MPS is showcasing the EF-APC advanced machine with 100% print automation, for both sleeves as well as anilox positioning. 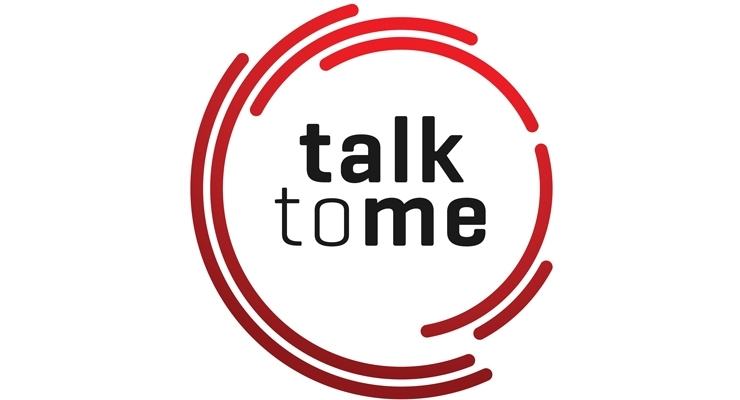 A valuable feature of this automated flexo solution is MPS “talk to me” connectivity technology, designed for Industry 4.0 implementation. 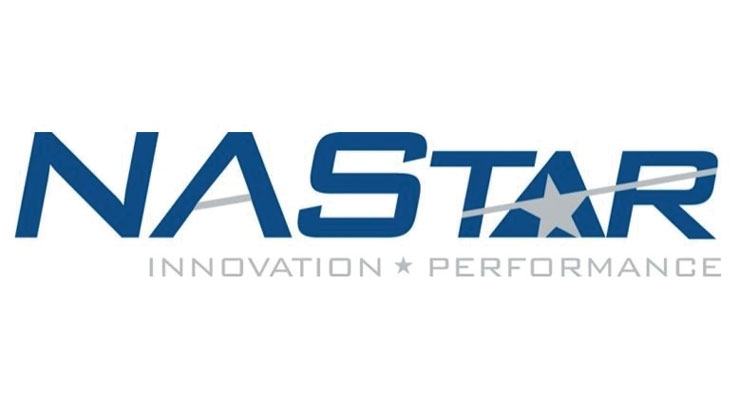 NA Star is highlighting PS products like T1055 temporary adhesive, permanently removable and temporarily permanent. T1055 removes cleanly from paper or glass, and the same label adheres to wood and damp, frosted surfaces. Print’N Stick linerless direct thermal is available in stocked quantities in DT Printer ready rolls on 1" cores, will also be showcases. There are two versions, Eco & Universal. The company’s patented TwoFer Shelf Tags feature two adhesive tags back to back with no liner, which allows for twice the number of labels per sheet and dollar spent. 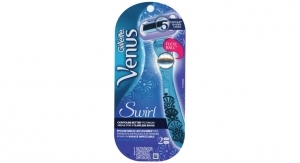 Alternating adhesive and release coated patterns hold labels together until application. Other products on display will be PS laser, pattern coating, MailNotes labels, and patented DOT adhesive. 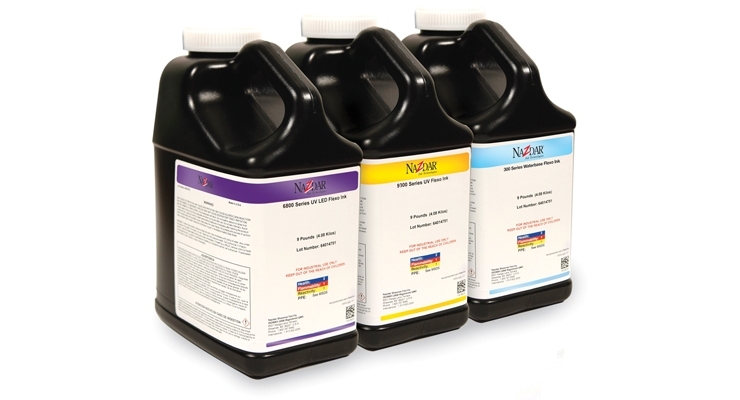 Nazdar offers ink for a full range of narrow web applications: UV and LED flexo, UV offset, UV letterpress, durable UV coatings, and water-based flexo, and UV and LED rotary screen inks, as well as UV and LED overprint varnishes and adhesives. Nazdar also manufactures screen printing and digital inkjet inks and coatings for a broad spectrum of specialty graphic applications, which are being highlighted at Labelexpo Americas. Neenah Performance Materials is showcasing Dispersa, a new material that is designed to disperse in water along with any imprinted or handwritten graphics. Dispersa looks, feels, and tears just like ordinary paper. This substrate is cellulose based and contains no toxic ingredients. Users can write, photocopy and print on this material via a variety of methods. Products (labels, tags, and packaging) made with this material will disperse in any temperature of water, leaving minimal residual fibers behind. 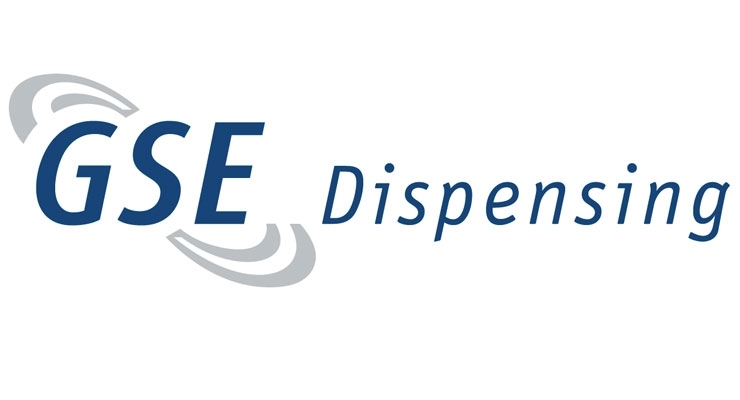 Dispersa is manufactured in the USA, offering convenient sourcing logistics for the company’s customers. Nilpeter is showcasing the all new FA flexo press, the latest addition to its state-of-the-art flexo program, and displaying one of the company’s upgraded digital Panorama hybrid presses. According to Nilpeter, the new FA is the most versatile flexo press on the market – designed to accommodate the printer’s ever-growing needs, and built around the modern press operator. 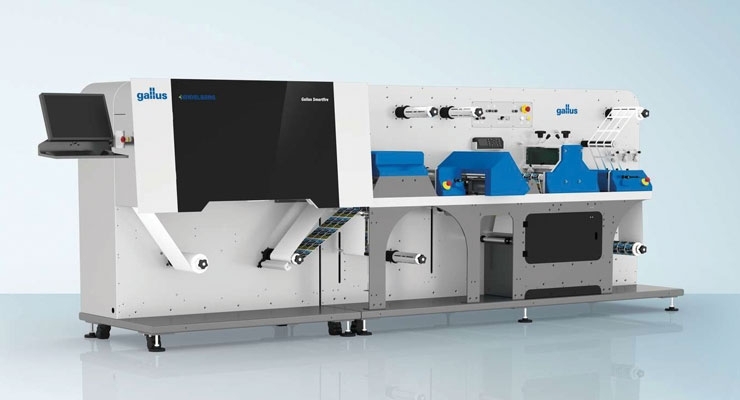 The upgraded Panorama hybrid features a complete re-design of the Panorama’s converting and flexo printing units. Nilpeter’s new offerings are ideally suited for the next generation of printers and the needs of Industry 4.0. By automating almost all processes, Nilpeter is attempting to solve challenges for today’s print workforce. Phoseon has experts available at Labelexpo Americas to discuss the latest in LED technology. 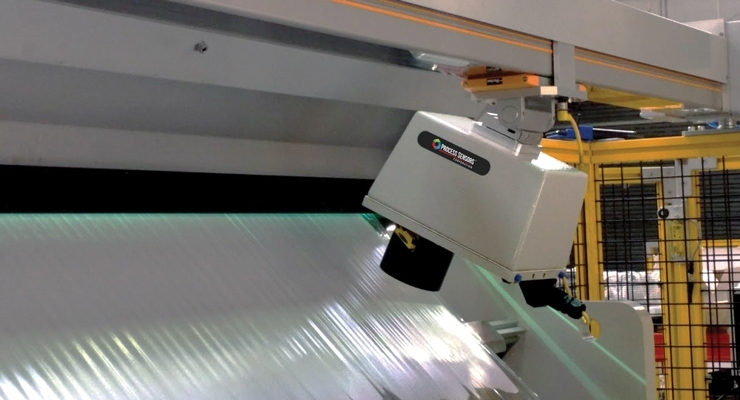 Users can retrofit their flexographic press with Phoseon UV LEDs, where they’ll see more uptime, throughput, reliability, choice in substrate materials and energy efficiency. Phoseon is also providing a host of new financing options designed to make the value even more accessible. Stop by the Phoseon booth to retrofit a flexo press in full virtual reality. In 2017 and 2018, Prime UV-IR created three UV LED Series custom engineered systems for three different process applications. 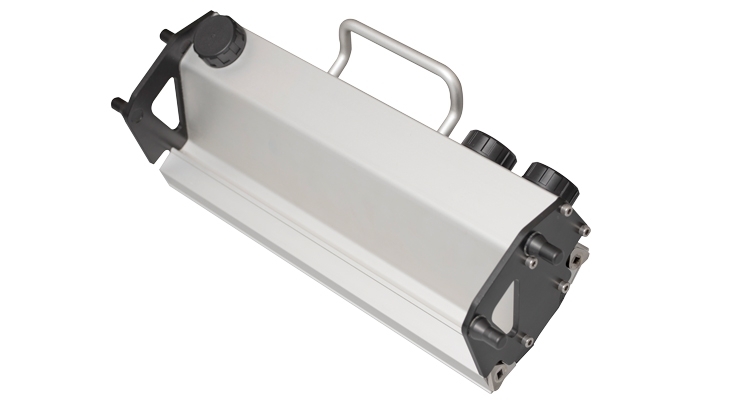 LEDMAX IP3 UV Series is engineered for narrow to wide web applications. Drawing upon Prime’s 30 years of web experience with thousands of installations worldwide, Prime engineered the LEDMAX IP3 UV Series to provide unparalleled cure for high speed web processes. Prime’s LEDMAX IP4 UV Series design ensures an easy installation at a low cost while providing complete cure at high process speeds. LEDMAX IP2 UV Series provides maximum UV cure power for UV inks and UV coatings on sheetfed presses. Prime’s Minimax UV Series specifically designed for curing UV chemistries on narrow to mid-web flexographic and offset presses. 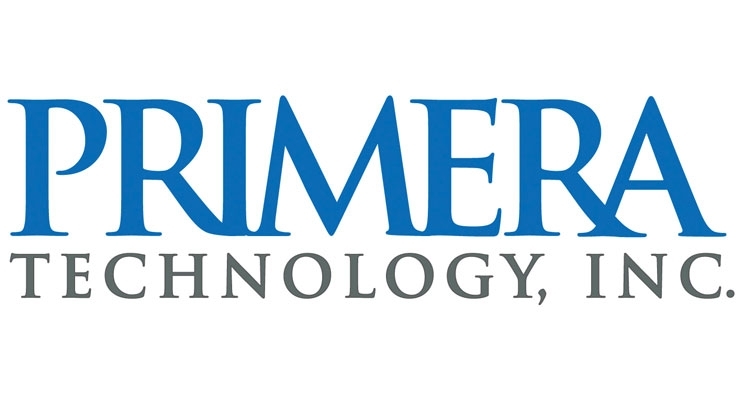 Primera Technology, a manufacturer of specialty printing equipment, is exhibiting several products at Labelexpo Americas. The company is showcasing its latest addition to its award-winning desktop label printing line. The LX910 is Primera’s fastest, highest quality printer to date that’s suitable for label houses to resell to meet short print run demands. The company also has two additional brand new products set for debut at the show. Process Sensors will debut the new Guardian-HD Web Profiling System at Labelexpo Americas. Used for the on-line measurement of moisture, coatings and adhesives in difficult paper and converting applications, the Guardian-HD rapidly identifies out of spec product to improve product consistency and reduce scrap. It features a more robust design and enclosed frame construction for measurements across wider width webs in harsh environments. Process Sensors, a KPM Analytics company, supplies NIR and IR sensors and systems to Fortune 500 manufacturing companies and small, privately held organizations in worldwide industries. 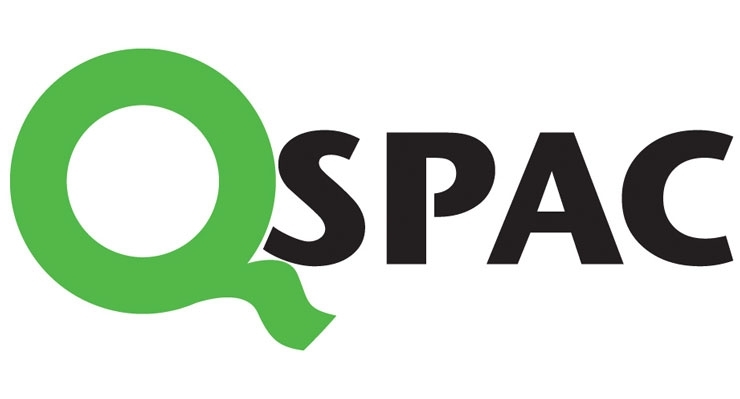 QSPAC is highlighting multiple solutions at Labelexpo Americas. In the digital arena, the company is striving to improve label strength and durability while adding gloss and clarity with its linerless overlaminates developed for digital printing. QSPAC’s specially formulated acrylic adhesive holds up well to digital inks. Customers can also add protection and durability without breaking the bank with one of QSPAC’s many self-wound products developed and used for multi-books applications and the most demanding ECL applications. Lastly, QSPAC’s matte and clear overlaminates provide the protection, durability, temperature and UV resistance that converters will need for printing snack bags, perfume packets, header bags and promotional items. 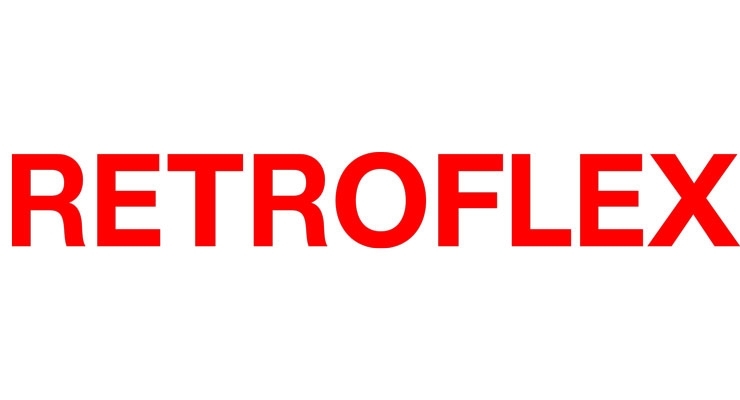 Retroflex offers a wide range of narrow and wide web printing and coating equipment for the flexographic and gravure market. Standard flexographic presses include the T-Series, S-Series, K-Series and the Fox Series. Most models are available in an inline, stack or central impression configuration. Gearless servo and on-press sleeve changes are some of the many available features that will be discussed at Labelexpo Americas. Retroflex also offers single and two side coaters, unwinds, rewinds, dryers, enclosed doctor blade systems and downstream printing and coating systems. Consumable parts and accessories are available for your Retroflex equipment, as well as other manufacturers’ equipment. Roll-2-Roll Technologies is featuring the Web Guide Retrofit or Replacement Kit. This product enables easy upgrade of any existing web guiding system with the next generation sensing and control technology. Users can keep the existing web guide mechanical assembly and replace the sensor, controller and actuator with this retrofit kit solution. These replacement kits are compatible with most common web guiding systems in converting lines. 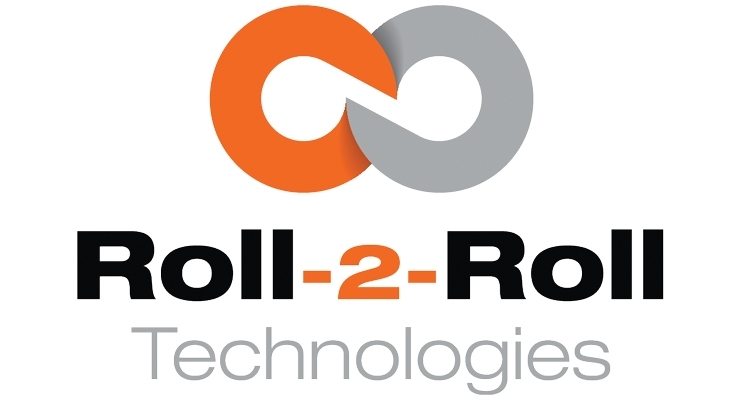 Roll-2-Roll makes the integration process seamless with its drop-in web guide solution. RotoMetrics is launching a variety of new solutions to enhance the converting process, including Electro Optic Die Cutting Technology, which features enhanced levelness and consistency for optimal performance on the most challenging materials. RotoRepel is a no-stick treatment that also offers enhanced performance benefits plus a formulation on file with the US FDA. RotoMetrics experts are also discussing Myroto.com, a new and improved online quoting and ordering website with enhanced features to better manage die library. Express Lane includes delivery and fast track manufacturing, where more qualifying solid dies are available for next day shipping and quicker production time. Finally, AccuPrint EC Print Sleeves, providing dimensional stability and repeat performance, are being highlighted. 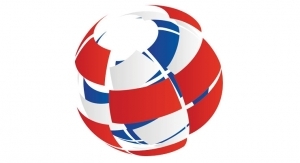 Screen is a provider of digital solutions for the label and package printing markets. The company has long been known for advanced technologies in the graphic arts and is a pioneer in digital inkjet printing, manufacturing inkjet presses for more than 15 years with over 1,500 production-class digital inkjet presses installed worldwide. Screen Truepress inkjet presses have earned a reputation for producing excellent print quality at production-class speeds with great uptime and reliability. Screen’s most recent product introductions include the next generation Truepress L350UV Plus label press with gamut-expanding orange ink and optional low migration inks. 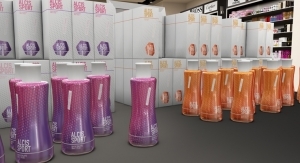 Labelexpo visitors can “explore the future” with Siegwerk experts, as they detail the company’s line of printing inks for packaging applications and labels. 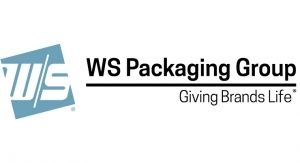 Due to a steady increase in regulatory efforts worldwide driven by stringent regulations, product safety stays the most important and challenging aspect in narrow web packaging. Food safe ink solutions are more in demand than ever, which makes migration optimized ink systems one of the largest growing areas in the ink industry. Siegwerk offers an extensive UV ink portfolio for food compliant applications, which the company is showcasing at the event. 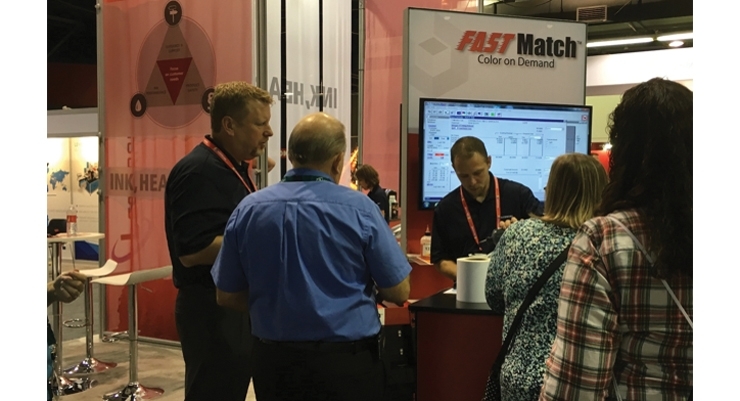 Siegwerk is hosting interactive live demos of FastMatch, a web-based color management software program for accurate ink formulations. FastMatch is available for water-based and UV inks and can utilize the user’s preferred substrate. Simco-Ion is displaying static solutions and web cleaning products at its booth, including the Teknek NWP and V-Force 30. The NWP is a contact web cleaner that uses the highly effective Teknek Cleaning Core to remove surface contamination prior to the printing, coating or laminating process. The V-Force 30 is a high performing industrial vacuum cleaning system for narrow web machines, which combines the power of static neutralization with high vacuum, high volume and high velocity. 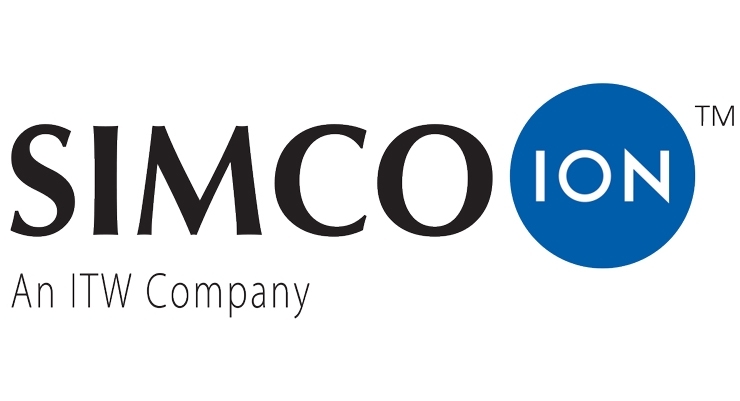 Simco-Ion experts are discussing how they can offer individualized solutions for your business. At this year’s show, Spinnaker is highlighting products for several key markets, including food packaging, health and wellness, chemical and industrial, as well as, security and brand protection. One of the featured products is ScanTherm Industrial, which is a highly chemically resistant direct thermal paper product. Spinnaker is also showcasing the expansion of its digital media offerings that print well on the various digital equipment that will be presented at the show. There are giveaways, product demos, and much more at the company’s booth. 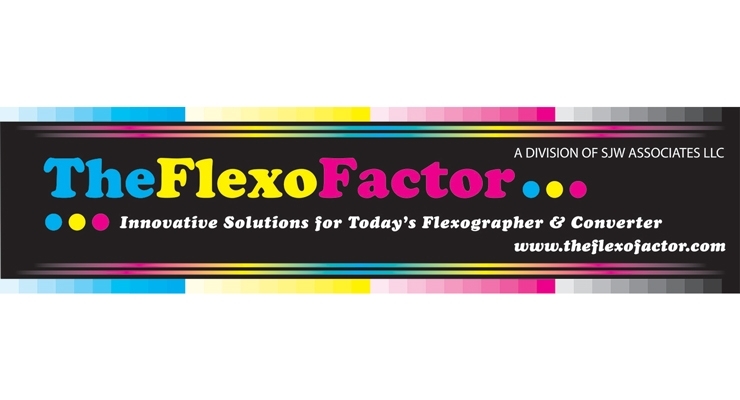 The Flexo Factor is a “one stop shop” for the flexo industry. The company offers everything from consultancy, operator selection and training, to almost everything a customer might need in and around the pressroom. This includes European ultrasonic systems, Soma Engineering flexo presses, laminators, slitters, Ace Electrostatic systems, Tectonic platemounters/web inspection, Allison doctor blades, all makes mounting tapes, Sandon Global-anilox, storage systems, Anicheck -volume test kits, Aztech- roll handling equipment, a full range of environmental, operator, product safe cleaning solutions, gels and ancillary equipment. Tilia Labs, a developer of planning, imposition and automation software solutions for the graphic arts industries, is unveiling the power of its forthcoming Phoenix 7.0 software release for narrow web production. 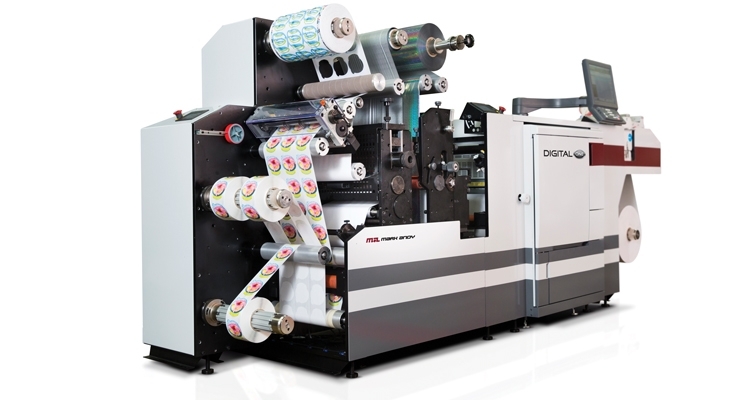 For the first time in the US, the company is showcasing brand new features for optimizing substrate usage and boosting setup speed, flexibility and control for narrow-web label printers. Tilia Phoenix uses Artificial Intelligence (AI) in automating planning and imposition for all types of print and post-press applications. The system factors in parameters, such as job specifications (quantity, dimensions, colors, substrates), presses/print devices, postpress requirements, and delivery considerations, to deliver optimal layout options. 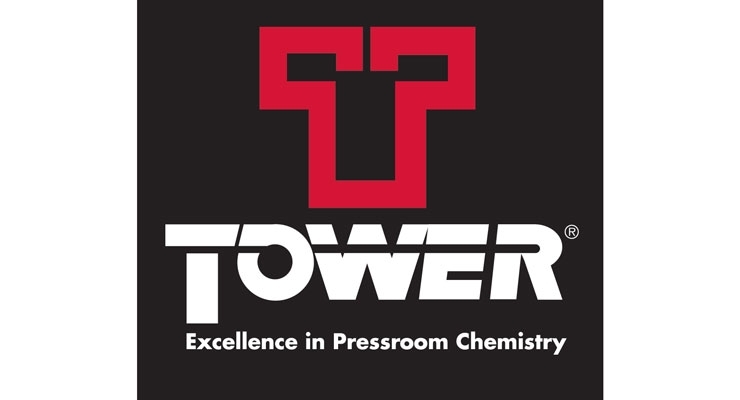 Tower Products, a manufacturer of environmentally sensitive pressroom chemistry for the graphic arts industry, is exhibiting its full line of pressroom products for the flexographic industry at Labelexpo Americas. Mark Principato, director of flexographic product sales, will be on hand to discuss how Tower Products can help your business. The company is featuring its Smartflex product line, a series of specialty chemicals tailored to fit any flexographic and packaging pressroom. 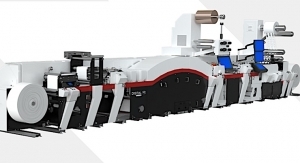 Tresu Group is showcasing complete solutions for automatically regulating ink circulation on flexo presses, with its ancillary program of chamber doctor blades and ink supply systems that eliminate waste, reduce manual costs and ensure uniform, clean print quality at faster production speeds. Tresu chamber doctor blades are available for all printing widths up to six meters. The company is highlighting the FlexiPrint Reservoir SAVEink chamber doctor blade for narrow-web flexo applications up to 800mm wide. Its integrated reservoir contains a large ink volume, eliminating the need for a connected pump. The carbon-fibre MaxiPrint Concept chamber comes in 1,600mm to 6,000mm widths. UniNet, a worldwide technology-driven OEM providing on-demand digital print technology, is showcasing a wide range of products at Labelexpo Americas. A highlight includes the iColor Printing Solutions product line. UniNet is covering the diverse aspects of the short to mid run digital label printing industry – from substrates and finishing to new products and upcoming trends in digital printing. 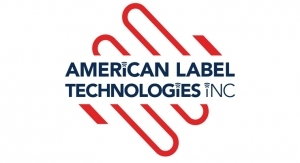 Developed specifically to enhance the capabilities of the label/packaging and specialty printing markets, this includes small to mid-sized label presses, transfer printers, finishing equipment for label rolls, desktop digital diecutters for sheets, and more. 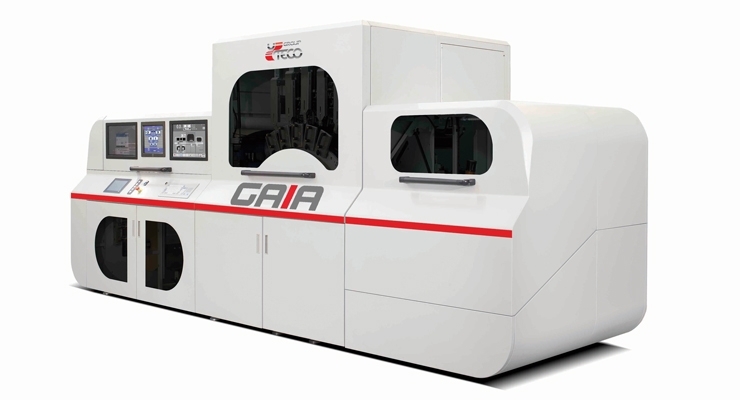 Gaia Uteco Converting, in partnership with Ebeam Technologies, has developed a modular, flexible and easy to use Gaia electron beam inkjet printer to print on flexible media. The Gaia is suitable for food and pharmaceutical packaging. It has the ability to print on aluminum, paper and films through electron beam curing technology and can reach max speeds of up to 320 fpm. The Gaia can be configured up to 36". This platform is ideal for short runs and variable personalized data. A second digital press developed in collaboration with Kodak called the Saphire Evo adds new opportunities and possibilities to guide brands from raw material suppliers to added value suppliers. Through the use of water-based inks the Saphire Evo is ideal for digital production digital of short and medium runs, promotional printing with reduced production time. Vetaphone continues to develop systems for surface treatment that can handle today’s demanding applications. This is taken to a new level with the latest iCorona technology and high powered corona treaters, able to treat conductive and non-conductive substrates equipped with quick change electrode cartridges as standard. Vetaphone’s corona treatment systems have converters’ future requirements covered. As part of its narrow web product line, Vetaphone is showcasing two VE1A corona treaters and an iCorona generator. 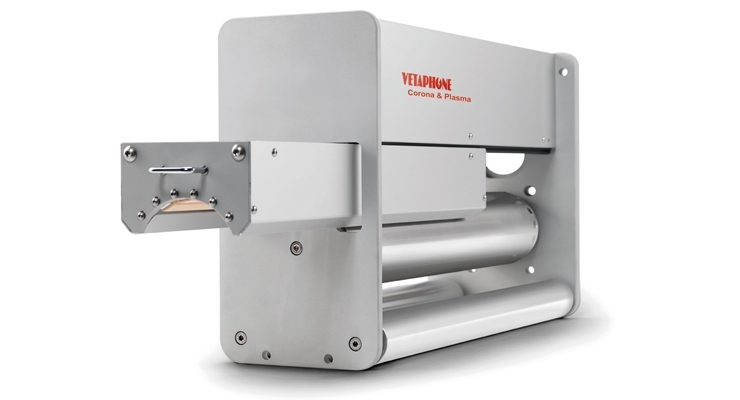 In addition, there are Vetaphone corona systems working on narrow web presses at the expo, including those on the Mark Andy, HP Indigo, Nilpeter, Bobst, Omet, AB Graphic, Domino, ETI and Screen stands. Wausau Coated Products, a manufacturer of adhesive-based label materials, has its knowledgeable and experienced sales team and technical staff on hand at Labelexpo. Its team can help customers develop high-value, custom-engineered solutions designed to meet customer specific applications and end-user needs. Wausau offers a diverse line of products and services including: adhesive coating capabilities, custom coatings, release liners, products engineered for traditional or UV inkjet printing, with and without Indigo optimization, and flexible packaging products. 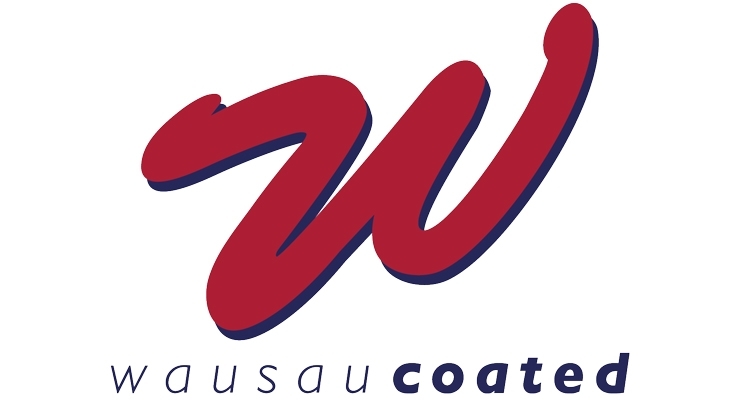 Serving a variety of markets, Wausau Coated delivers stocked products and custom engineered solutions. At this year’s Labelexpo Americas, Wink is presenting its full portfolio of premium diecutting solutions and “maximum care” services. Highlights include the new SmartGap Touch adjustable anvil system with digital control to guarantee excellent precision and maximum diecutting efficiency. The system allows for gap adjustment steps of only half a micron (= .019 mil), and comes with many enhanced digital features. In addition, Wink will present various SuperCut flexible die versions and finishing options for a wide range of label applications, and new ForceControl pressure gauges for optimum control of the diecutting process. With technology available at multiple booths, Xaar is showcasing its latest 1003 printhead, an ideal choice for label printing. The Xaar 1003 features a number of improvements on previous models, including the XaarGuard, which provides the ultimate in nozzle plate protection and helps the printhead achieve long maintenance-free production runs. 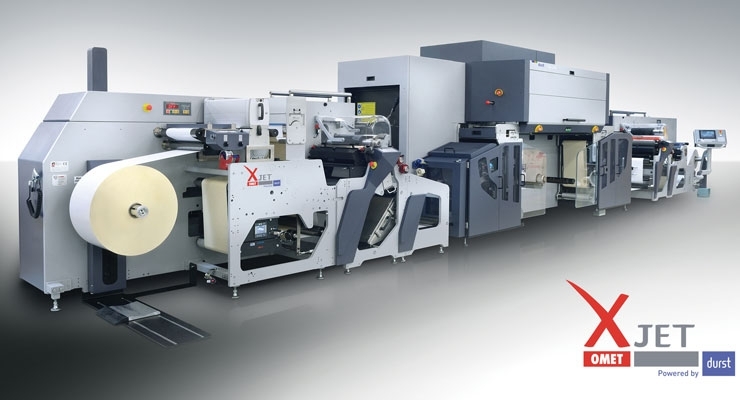 The technology is being highlighted at the Dantex booth, where Xaar 1003 printheads are critical components of the PicoColour UV inkjet label press. Xeikon Prepress, part of Flint Group, is demonstrating platemaking solutions that optimize and drive productivity at Labelexpo Americas. Xeikon Prepress designs and manufactures high quality, robust Computer to Plate equipment and digital platemaking systems under the ThermoFlexX brand name and CtCP as basysPrint. The company is highlighting the ThermoFlexX 48-S, which offers fully automatic plate loading and unloading with a productivity up to 6m2/hr and a choice of imaging resolutions up to 5080 dpi. 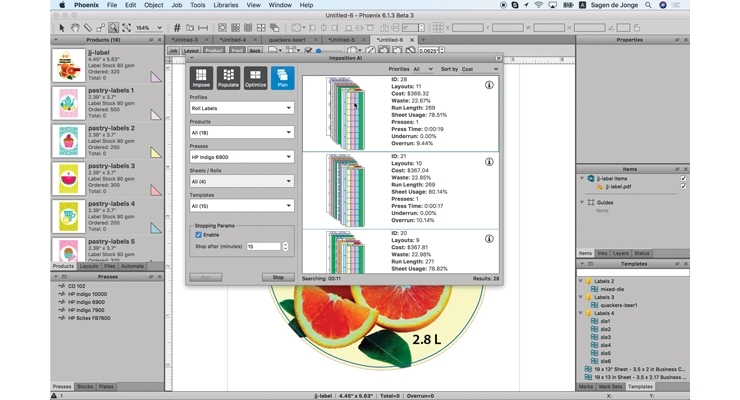 With the latest imager and multiplate software release, customers will benefit from an optimized output, automatically selecting the best quality at the highest productivity. Xymid specializes in composite print sleeves, bridge mandrels, and protective roll covers for the flexographic printing industry. Xymid sleeves are made from durable, crack resistant polymeric materials. Thicknesses range from .015" to 5.000". Thick sleeves and bridge mandrels are lightweight in design and made from composite materials with sealed ends for molded-in-place notches that are guaranteed not to come out for the life of the sleeve or bridge. Protective roll covers are available to protect anilox rolls or other expensive rollers. They are easy to mount and form fitting. Additionally, the company offers repair and rework of sleeves and bridges. 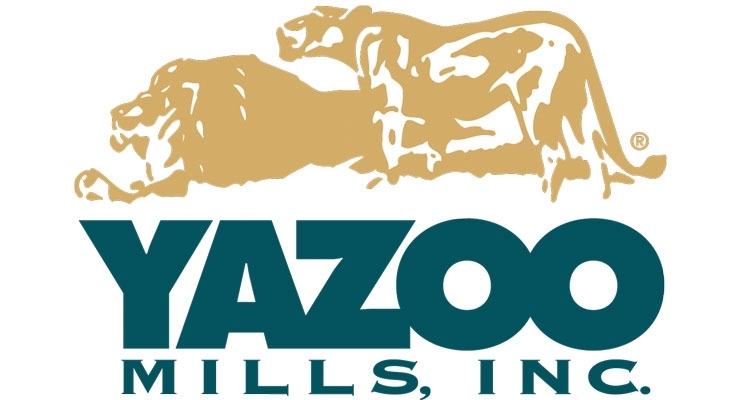 Yazoo Mills is a premier manufacturer of paper tubes and cores for the converting and label industries. Yazoo is well known when it comes to excellent service and consistent quality. Its Stock Core program has 110 sizes of 3" I.D. and 6" I.D. 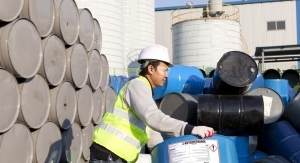 cores and maintains an inventory of over two million cores at all times for same-day shipment. Custom-made orders have no minimum requirement and ship in 48 hours or less, guaranteed. Yazoo will display its inline printing capabilities and custom paper cores for attendees to view. Zeller+Gmelin is showcasing its new color ink series Uvaflex FCM Y81 at Labelexpo Americas. In addition to its newly developed gloss varnish, these inks also include five different types of black for various applications. They complete the current FCM generation introduced to the market by the Eislingen-based printing ink manufacturer at last year’s event. Like the entire series, the new products have typical features such as low migration potential and good printing properties. This is due to the use of new raw materials and design enhancements that reduce migration-critical components. 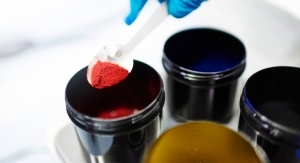 The ink series represents a practical solution, especially for food or cosmetic packaging.